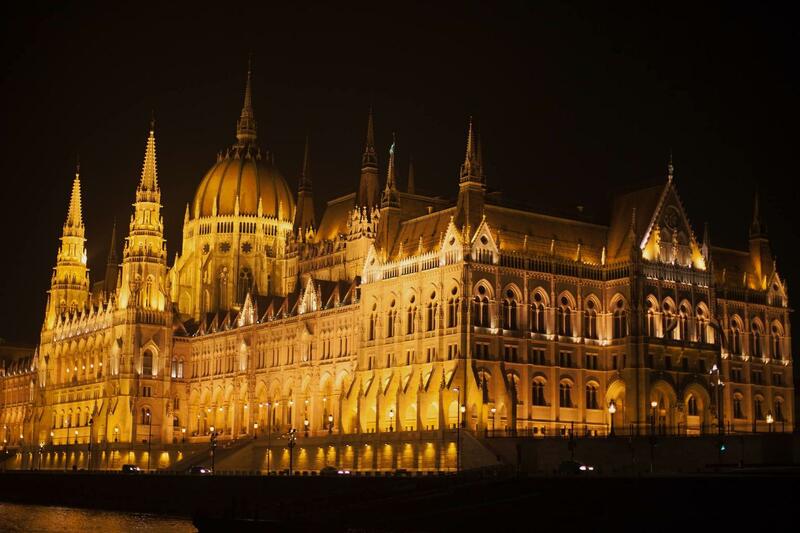 Budapest is known as one of Europe’s most stunning cities. 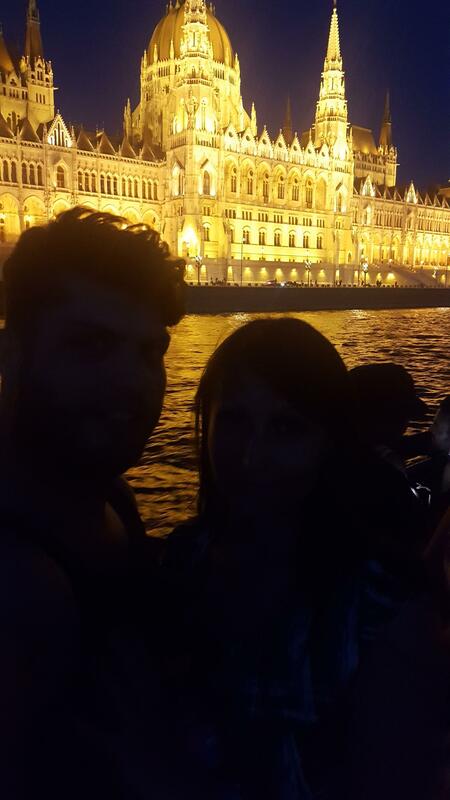 It may be thanks to its impressive surroundings, the Danube River that divides the city, the Buda hills to the west and the Great Plain to the east or due to its varied and beautiful architecture: Renaissance, Byzantine, Neo-Classical, and Art-Nouveau buildings coexist in perfect harmony. 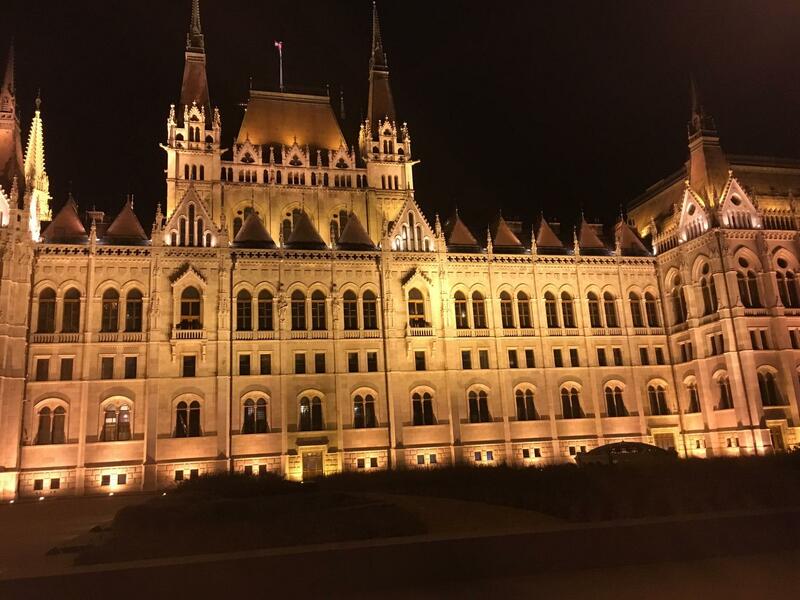 Its extensive World Heritage Site includes: the banks of the Danube, Buda Castle Quarter, Andrassy Avenue, Hero’s Square, and the Millennium Underground Railway. To top that, the city has 80 geothermal springs, the world’s largest water cave system where visitors can indulge in a relaxing bath. 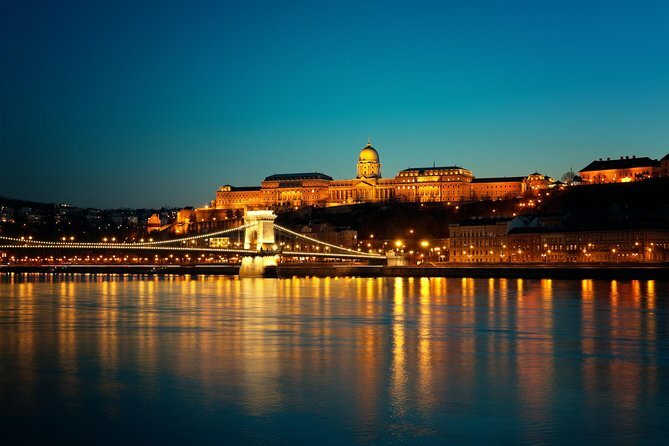 Budapest became a single city in 1873, occupying both banks of the river Danube, to the west there is Buda and Pest lays at the east. Both sides of the city have very different personalities. Buda is the quiet section of the city. 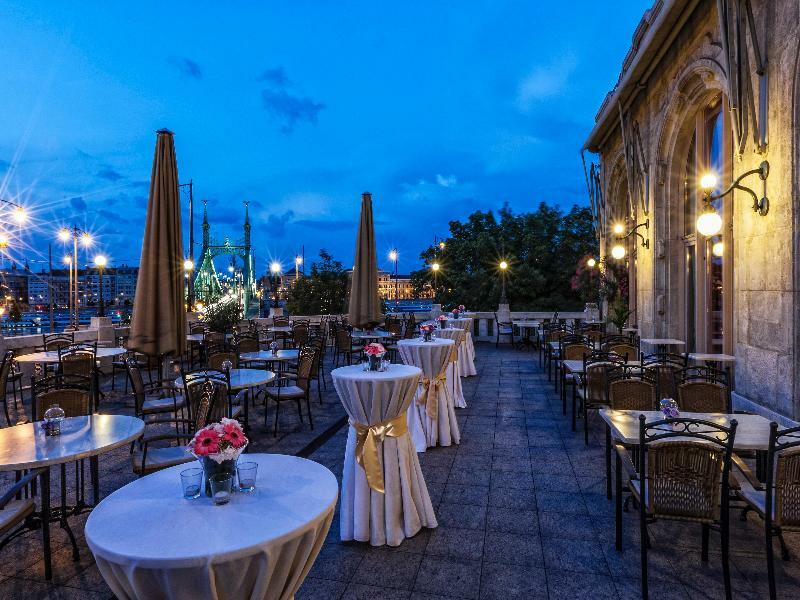 Walking around Buda, travelers will be able to inspect the Castle Quarter and explore the narrow cobbled streets that lead to the Fishermen’s bastion with its fairytale towers, which represent the 7 tribes that existed in the city in the 9th century. 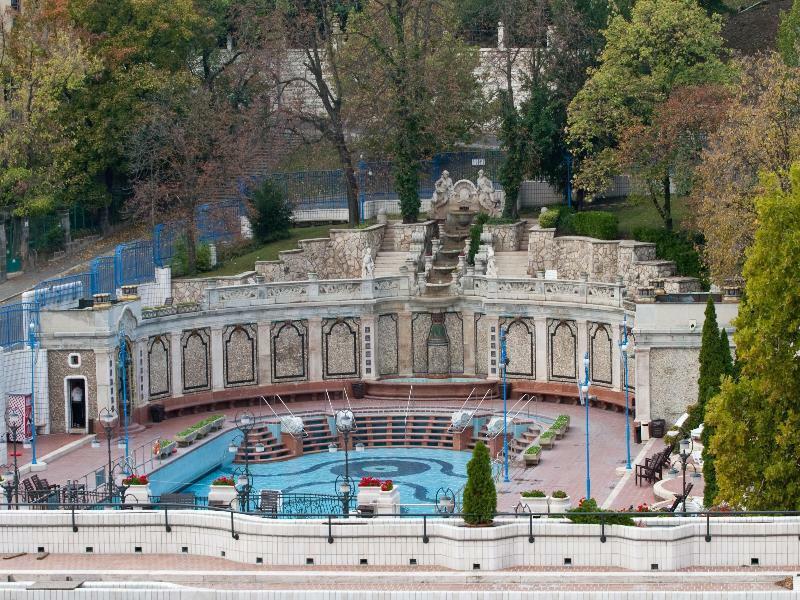 This decorative fortification is located atop the Buda Castel Hill and offers the best panoramic view in Budapest. 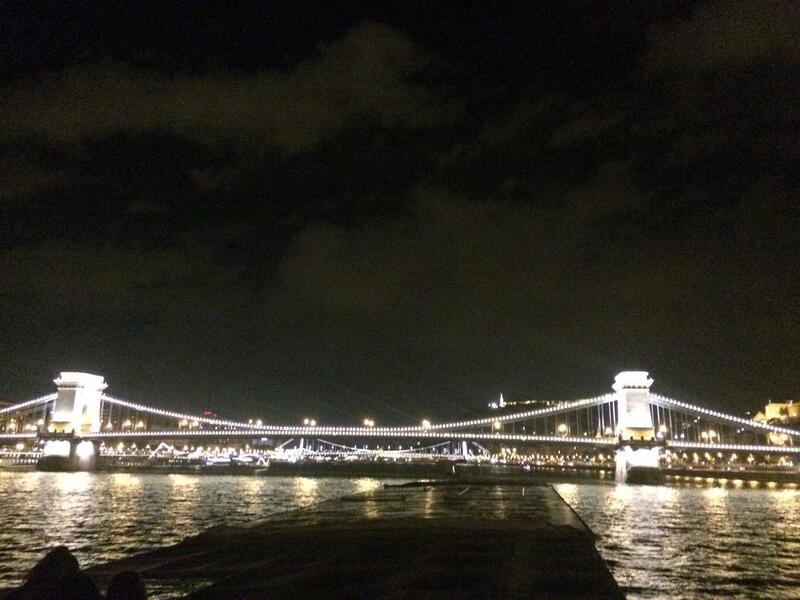 The eastern side, Pest, is where all the action takes place. This section of the city has a fin-de-siècle feel to it and nearly every building has some interesting or unusual detail. 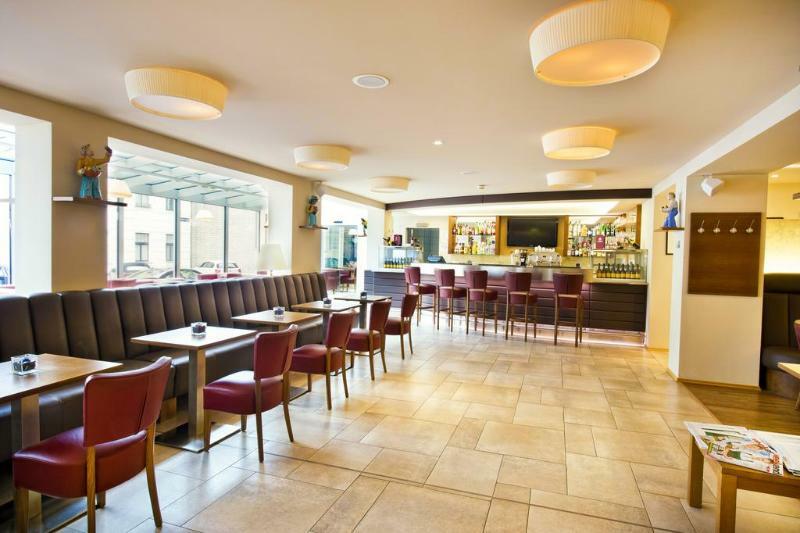 Visitors will be invited to take long strolls on its wide boulevards filled with all sorts of shops or enjoy a well-deserved coffee in its grand coffee houses. 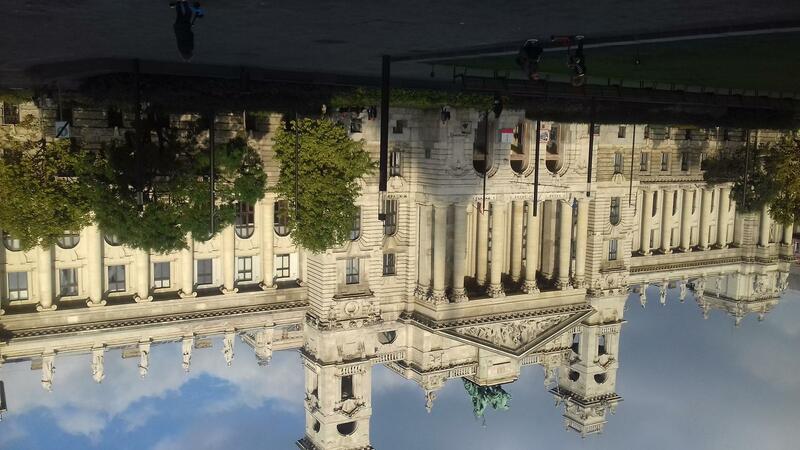 Pest is home to the parliament building and the Dohari street synagogue, the largest synagogue in Europe. The scars of WWII are still present in the city, bullet holes and shrapnel scorings left over from the Second World War and the 1956 Uprising are still visible in some of the facades, painful reminders of this grey period of history. There are several tributes honoring the Hungarian Jews that lost their lives, as the poignant Shoes on the Danube memorial or the Raoul Wallenberg Holocaust Memorial Park. 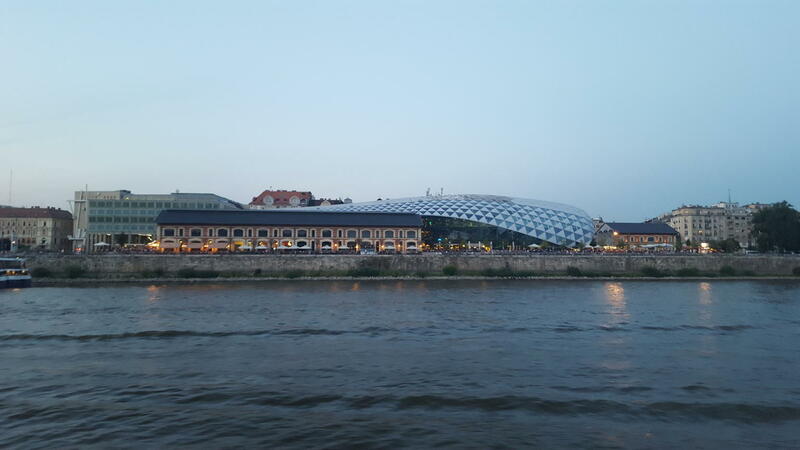 This side of the river is also considered the cultural heart of the city with numerous art galleries and with more opera, concerts and ballet performances than there are days of the week. 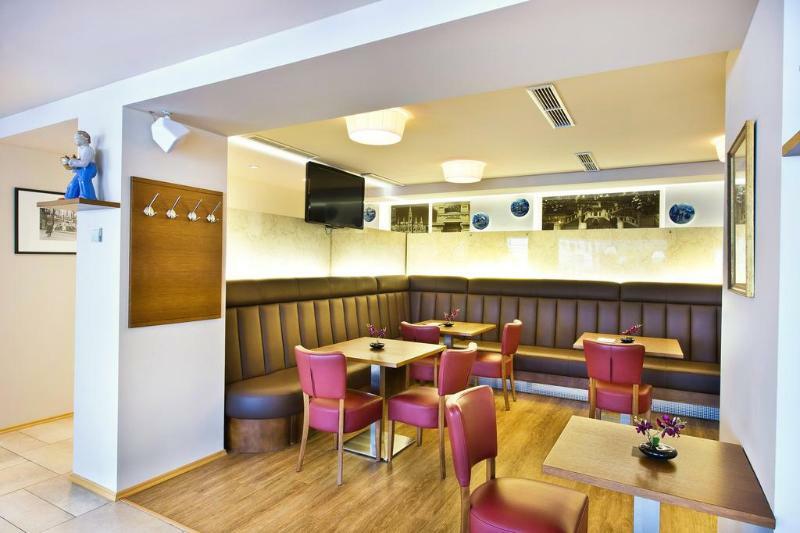 The capital’s best restaurants are found in Pest too, and it’s here the nightlife wrestles with until the early hours as well. For a unique drink try a Ruin Pub, Budapest’s network of bars in disused buildings that include former tenement houses, factory buildings and community centres. Budapest has combined all its influences and overcome its complex history to shape its own character, and sure it did it right. 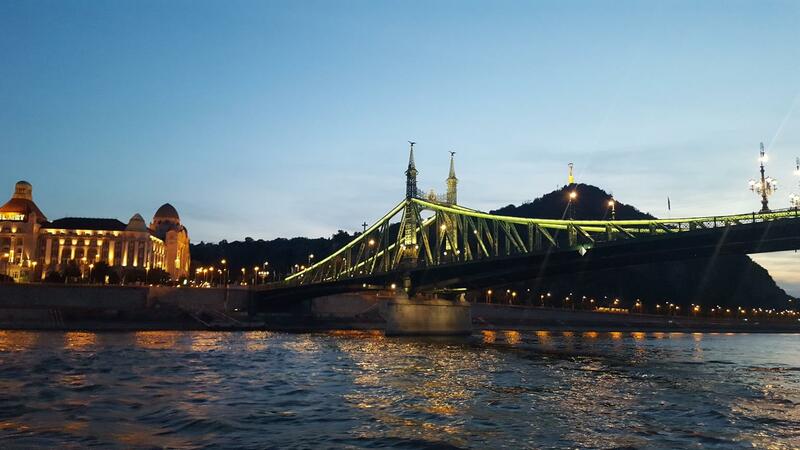 Some of the best views of Budapest are from the waters of the Danube River, and on this 1-hour sightseeing cruise, see the city in style with a beverage in hand. 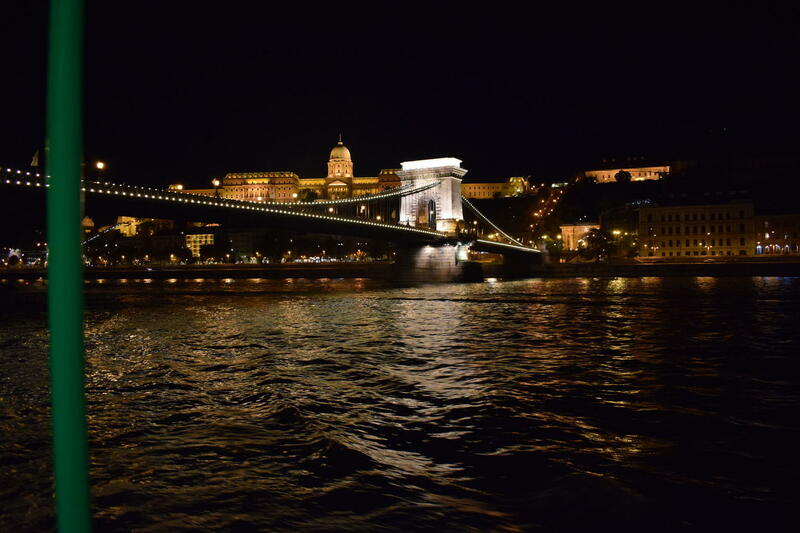 Embark from the port adjacent to Szent István Park on the Pest side of the city; departure times range between 6pm and 9pm depending on the time of year. After you climb aboard, the crew will greet you with a seasonal welcome drink. 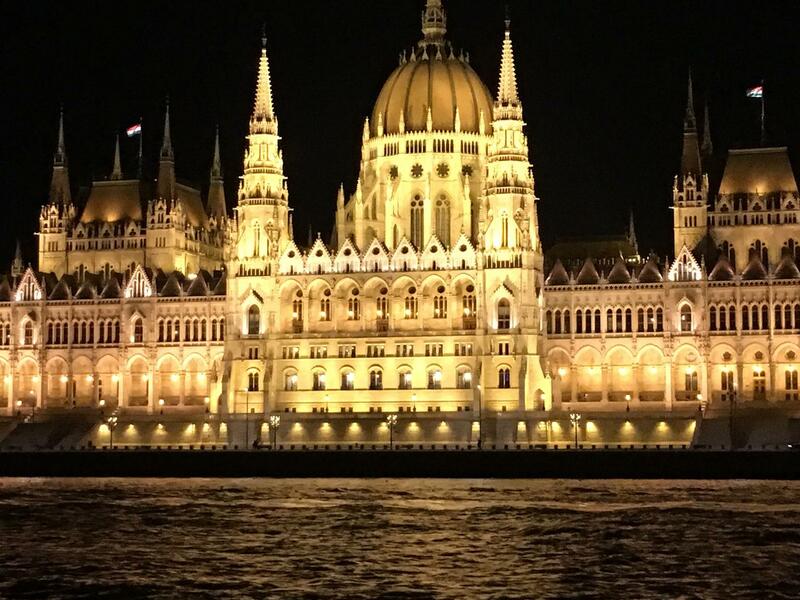 After the tour commences, admire the illuminated sights of the Banks of the Danube (a UNESCO World Heritage Site), including the Hungarian Parliament Building, the Buda Castle District, the Vigado Concert Hall, and the city’s many bridges. During the winter months, the boat is heated; the vessel also comes equipped with complimentary Wi-Fi, an open panorama deck, and an air-conditioned interior deck. 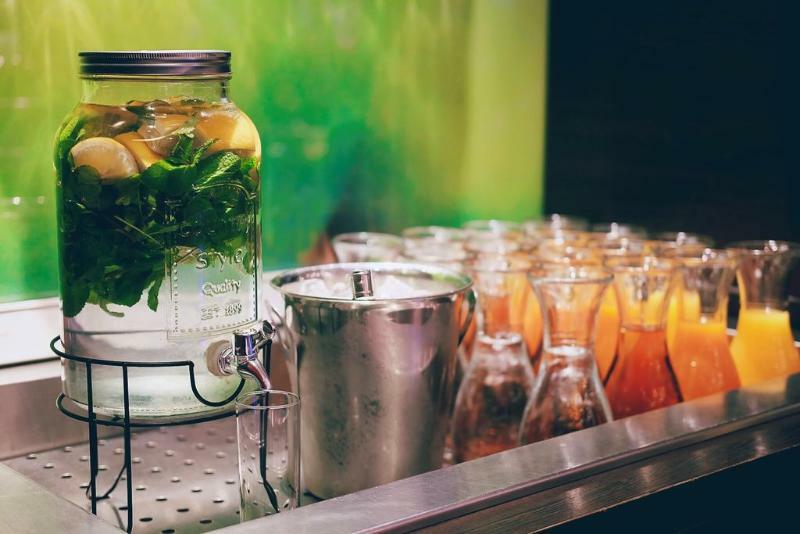 An on-board bar is also available should you want to top up your drink. The tour ends when you're returned to your original point of departure. 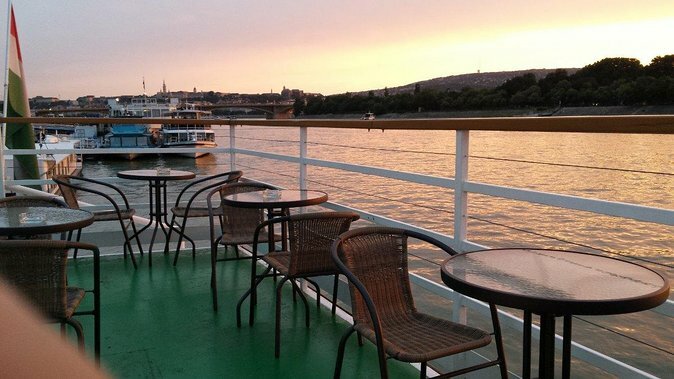 About the activitySome of the best views of Budapest are from the waters of the Danube River, and on this 1-hour sightseeing cruise, see the city in style with a beverage in hand. Embark from the port adjacent to Szent István Park on the Pest side of the city; departure times range between 6pm and 9pm depending on the time of year. 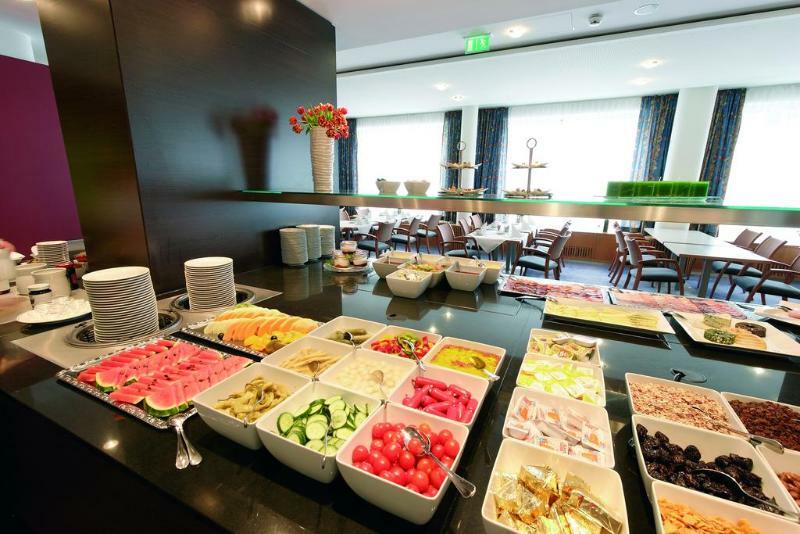 Food and drink (beyond what's mentioned) , Tour guide or audio guide , Audioguide (available for additional fee of 4 EUR - English, Hungarian, Italian, Spanish, German, Dutch, Romanian, Polish, French. Request by contacting supplier. 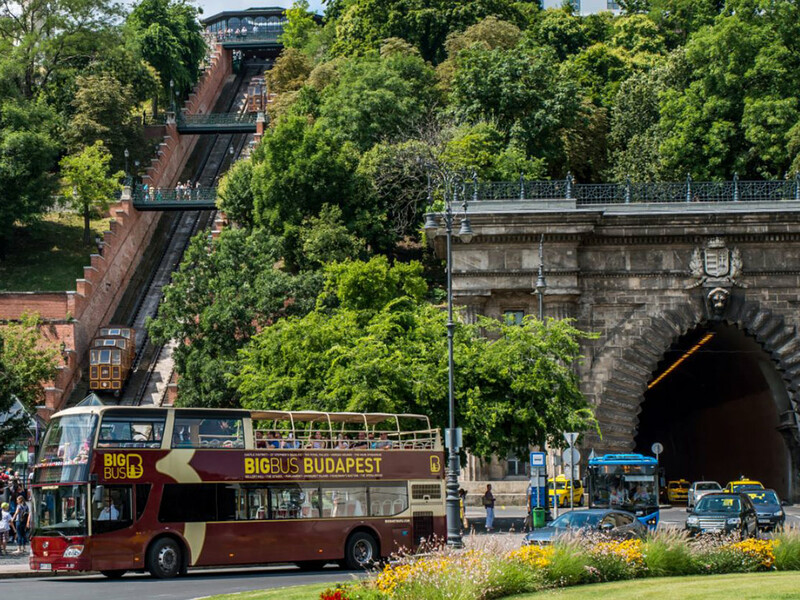 Our Budapest bus tour immerses you in one of Europe’s most entrancing cities. 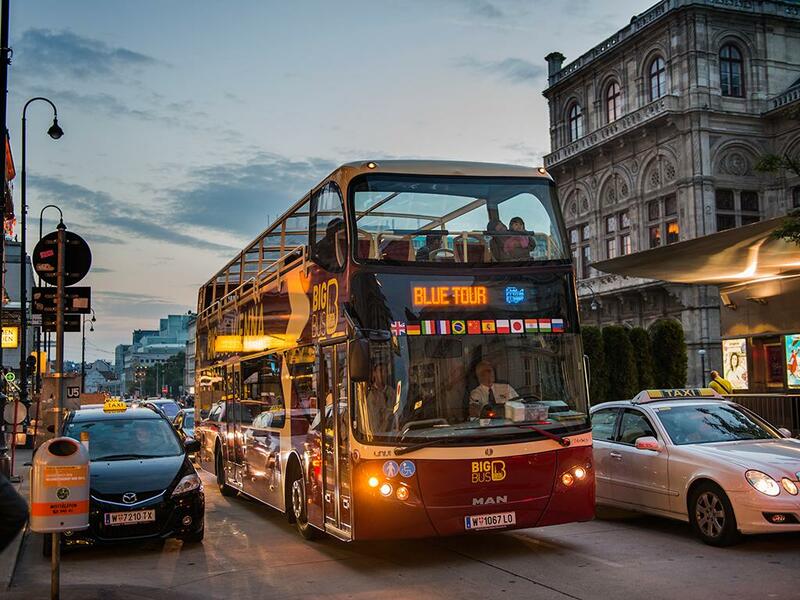 Hop on for panoramic views of the spectacular Heroes’ Square, the elegant Andrassy Avenue and the magnificent Parliament building. 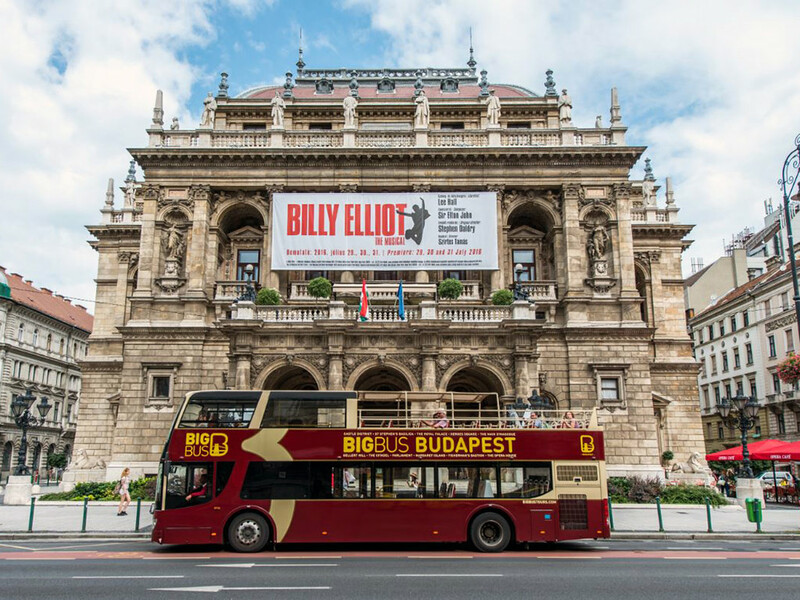 See all the sights of one of Europe's prettiest cities, with this hop on-hop off sightseeing bus tour of the beautiful Budapest. 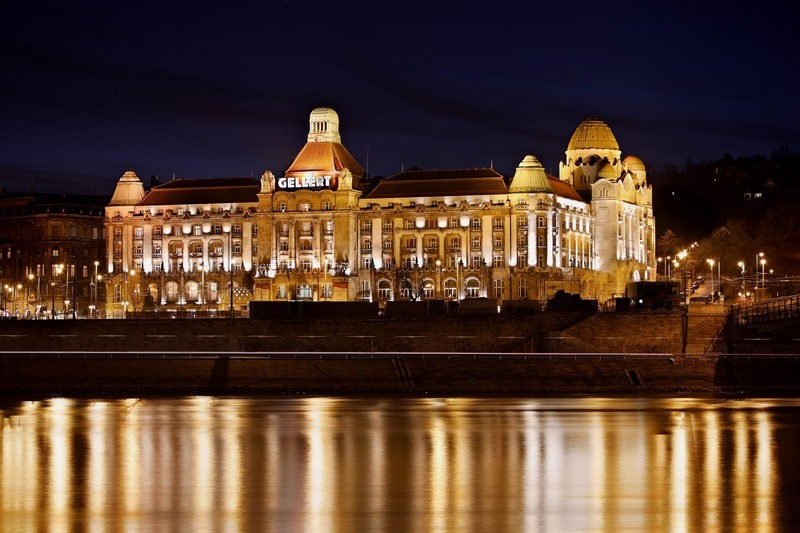 Split down the middle by the mighty Danube River, this waterfront capital is packed with beautiful old buildings, whose architectural intricacy and grandeur exceed all expectations. 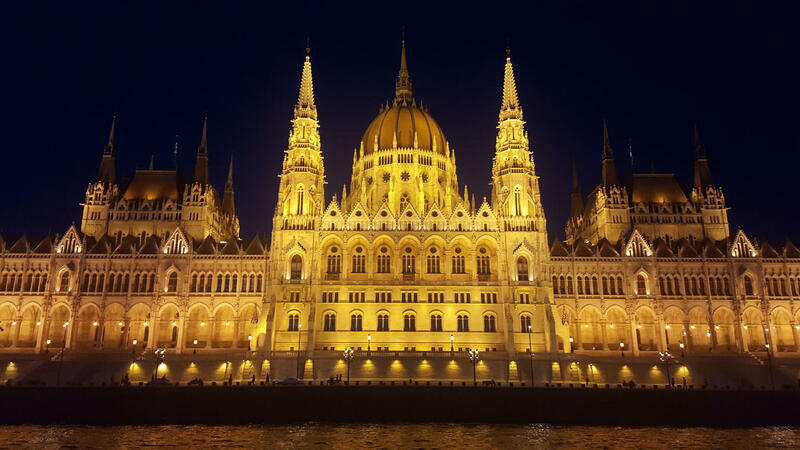 This sightseeing tour is the perfect introduction to this gorgeous city, showcasing the most famous landmarks and with an audio guide available in 23 languages which explains all about Budapest's rich cultural history. 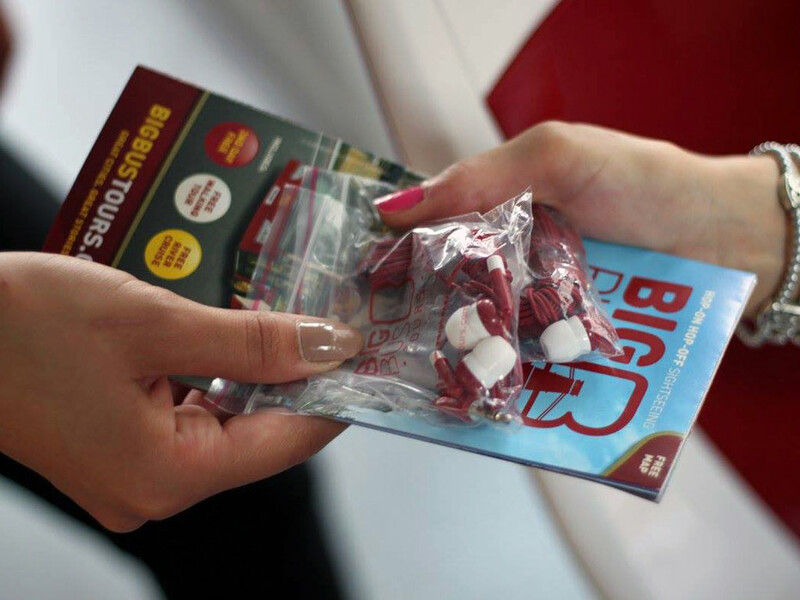 Board the bus at any of the stops and enjoy 24, 48 or 72 hours of free rides around the city. A 1.5 hours English guided Walking Tour is included in all the tickets. 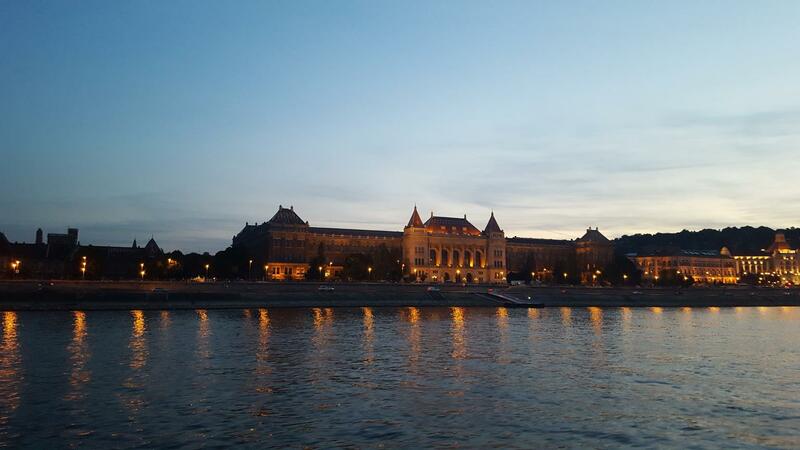 Enjoy a river cruise on the Danube with the 48 hours Premium and 72 hours Deluxe tickets. The Deluxe ticket also includes a panoramic Night Tour with bus and Castle Shuttle service. 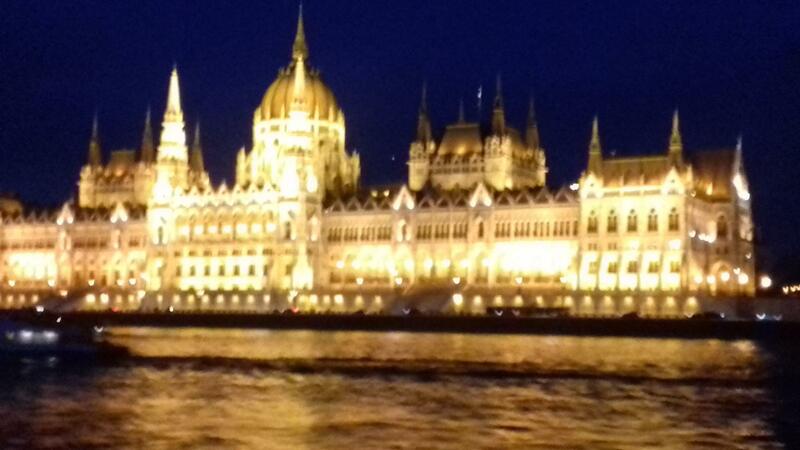 Admire the magnificent Parliament Building, dominating the waterfront. 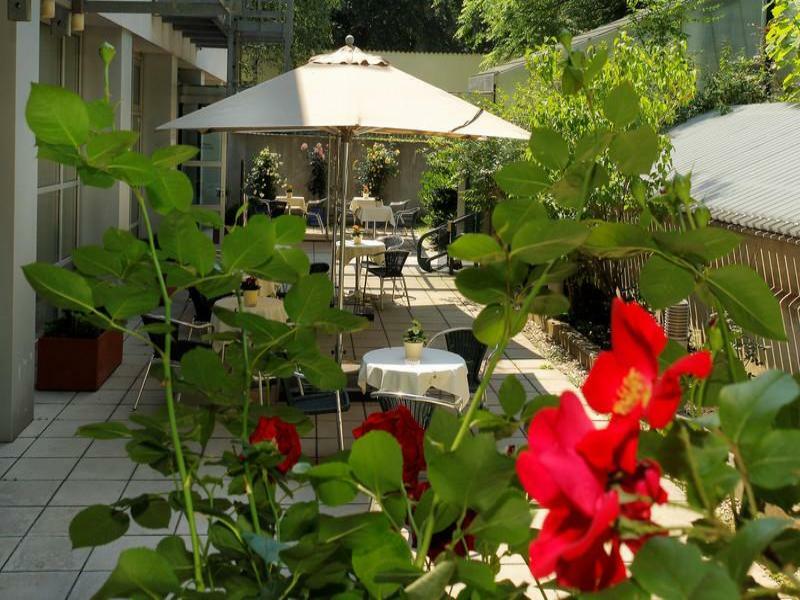 Cruise down leafy, classical Andrassy Avenue or visit the Old Castle district. 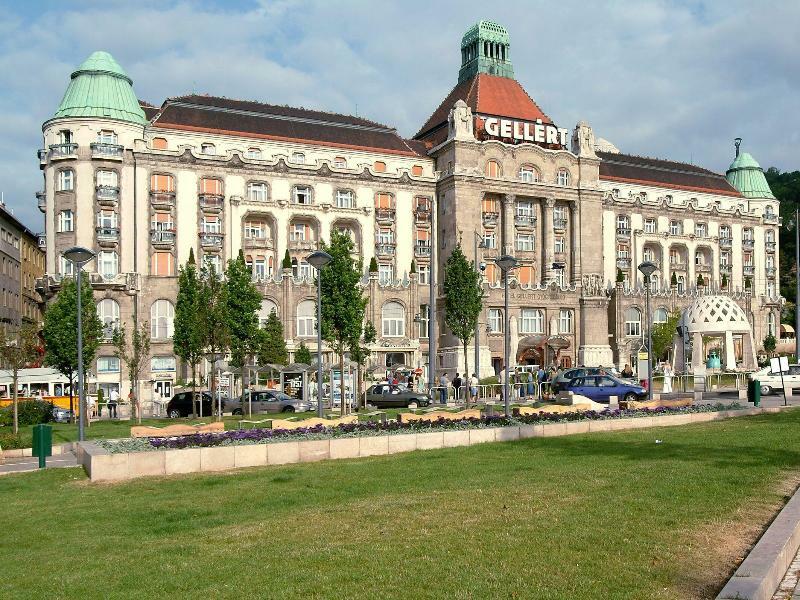 Enjoy stunning views from the bridges over the Danube, visit Heroes Square where past political leaders are celebrated, or stop off at the Gellert Spa for some pampering. This fleet of open-top double-decker buses offer the perfect vantage point for viewing this stunning city. All you have to do is sit back and relax as the bus winds its way around the streets, lined with leafy trees and lovely old buildings. 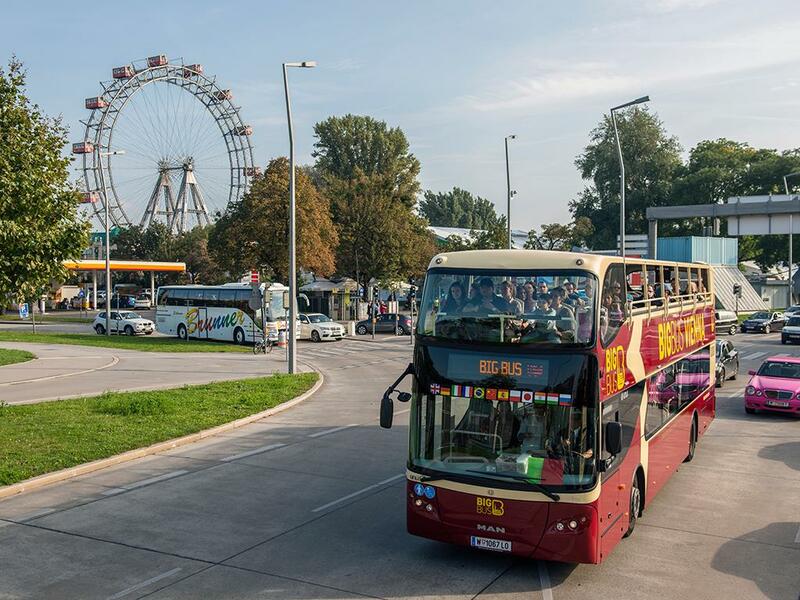 For couples, families or independent travellers, the hop-on hop-off sightseeing bus tour is an ideal way to get around Budapest, ensuring you don't miss a trick. 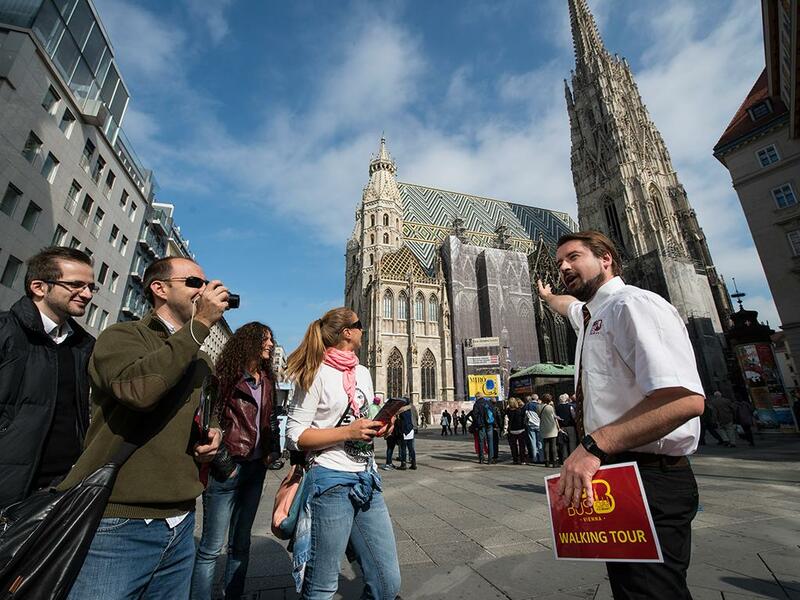 Enjoy the daily free walking tour, where you will discover the historical buildings of the city centre. 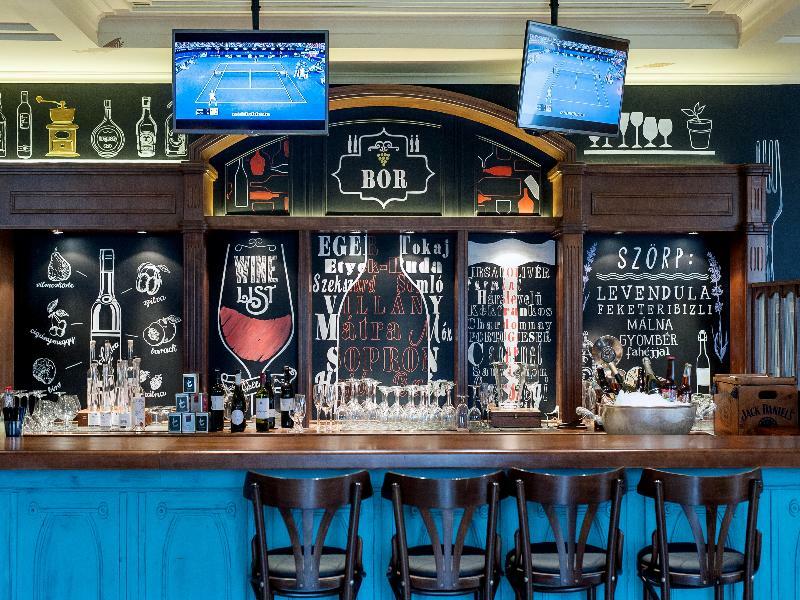 On the Pest Tour, gain insight into Budapest’s rich history on a leisurely walking tour. 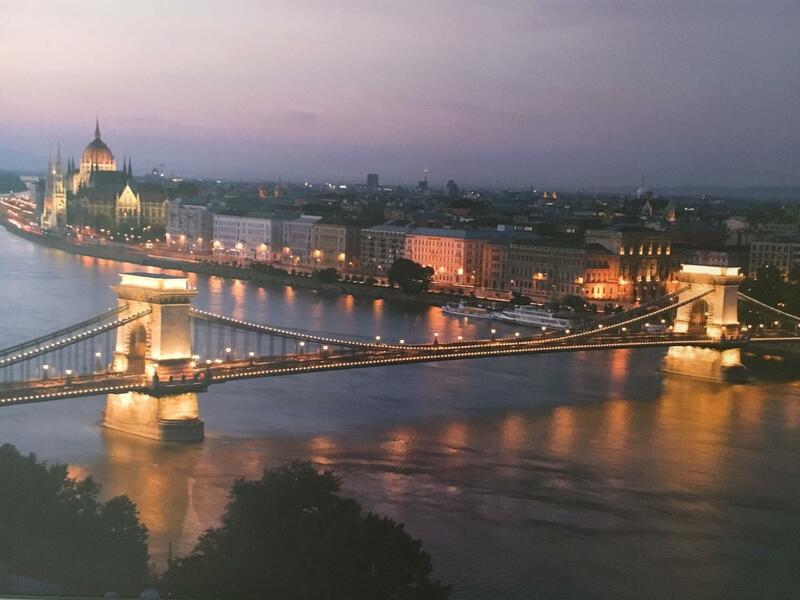 This package allows you to see all of Budapest's top sights and attractions in a day. Ride the open top double decker bus for one day, hopping on and off at over 27 stops around the city. 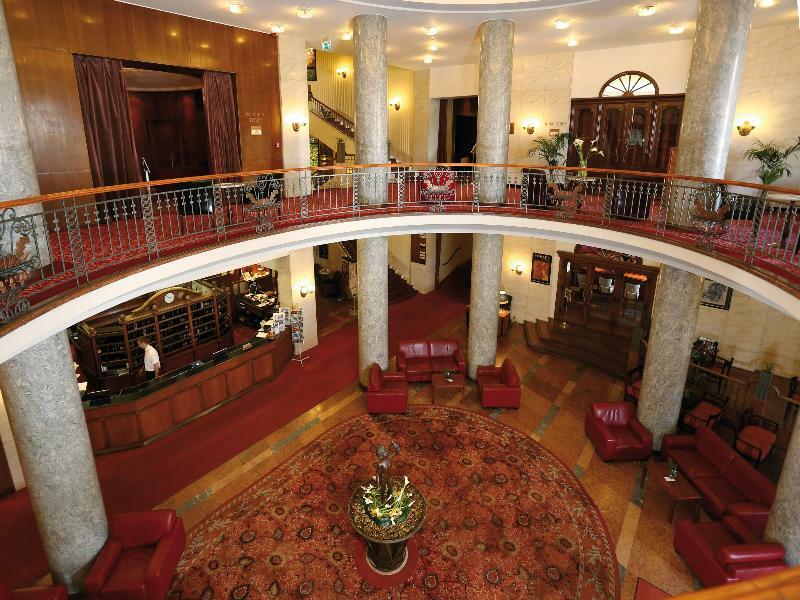 Learn about Budapest’s rich cultural history and reveals the city’s hidden gems. 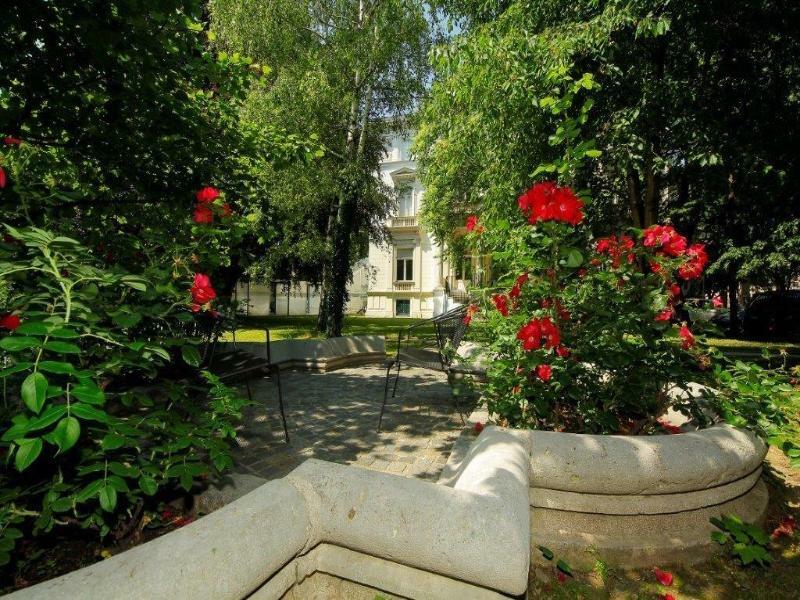 Enjoy the free walking tour in centre of the city, where you will discover the historical buildings of Pest. 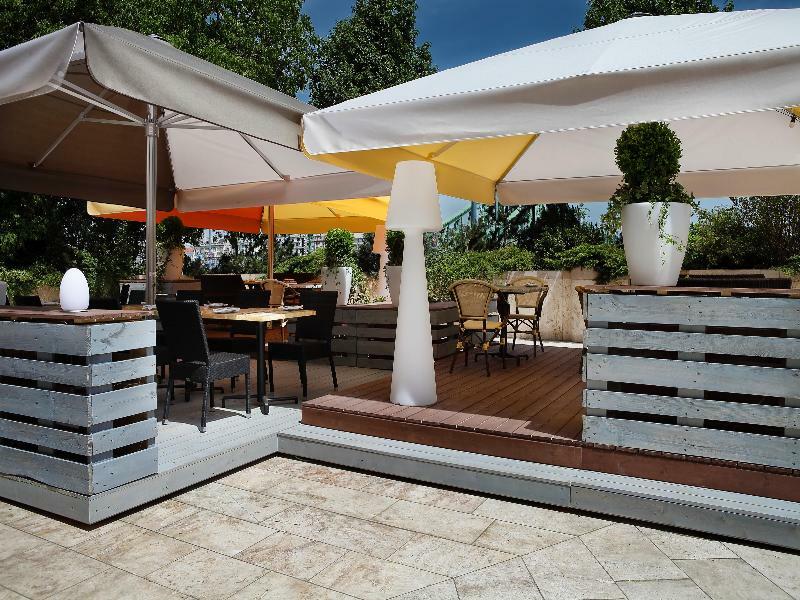 This package allows you to see all of Budapest's top sights and attractions in 2 days. Ride the open top double decker bus for 48 hours, hopping on and off at over 27 stops around the city. 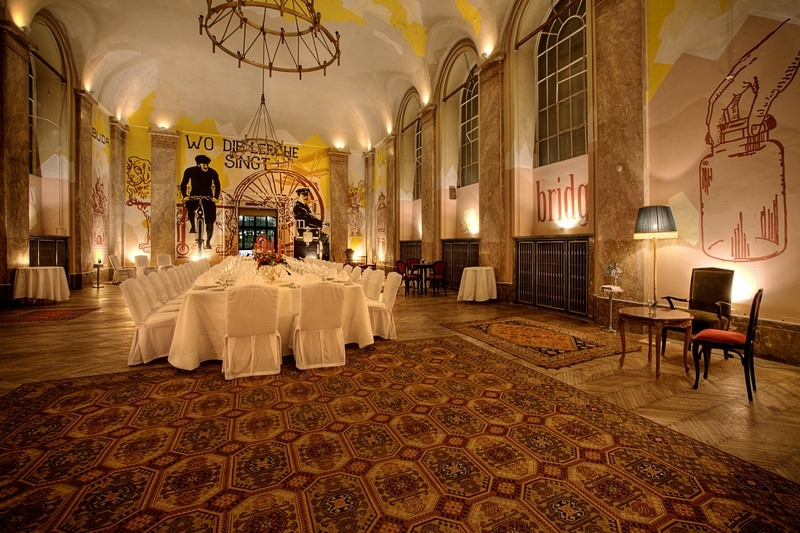 Learn about Budapest’s rich cultural history and reveals the city’s hidden gems. Enjoy daily free walking tours in the centre of the city, where you will discover the historical buildings in Pest. 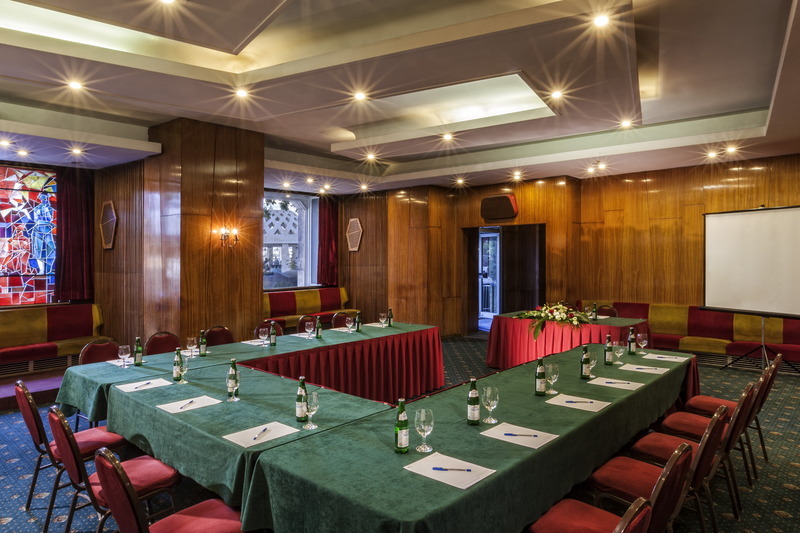 The river cruise takes you on a leisurely journey along the Danube providing views of Budapest’s Parliament Building, the National Theatre, Chain Bridge and Royal Palace. 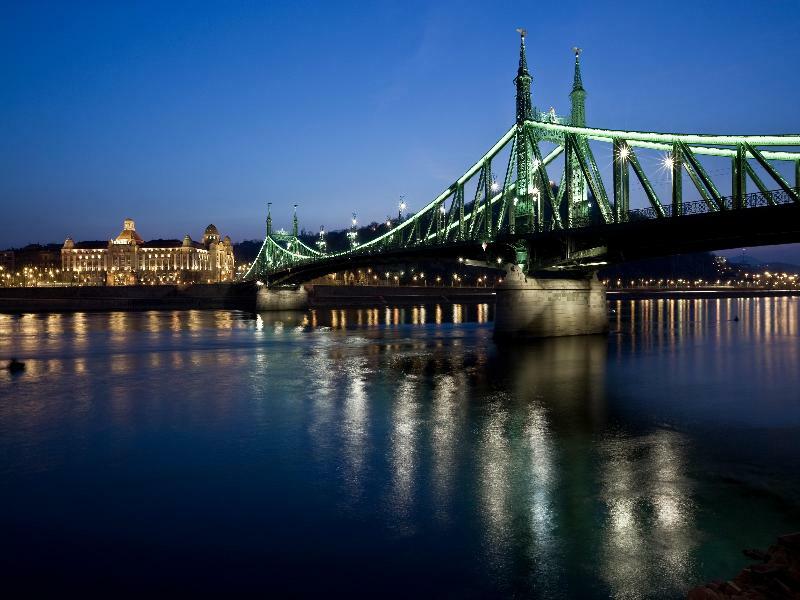 This package allows you to see all of Budapest's top sights and attractions in 3 days. Ride the open top double decker bus for 3 days, hopping on and off at over 27 stops around the city. 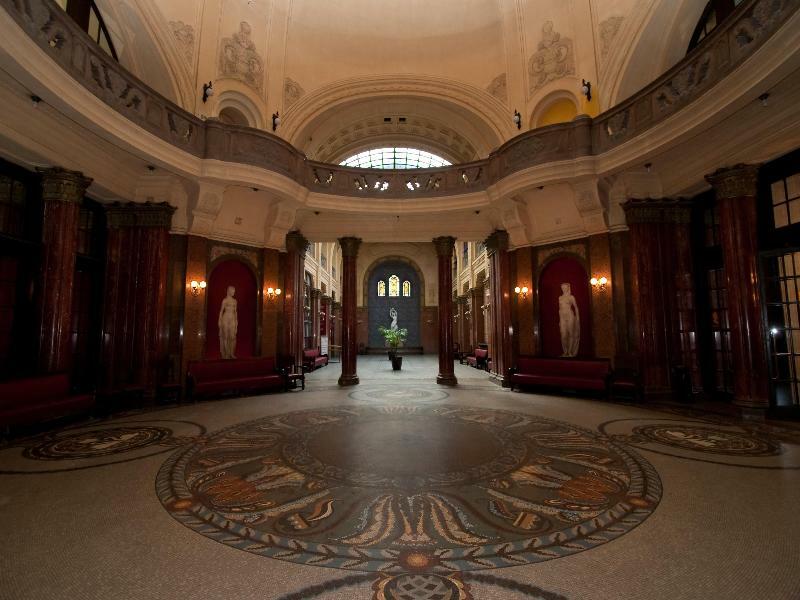 Learn about Budapest’s rich cultural history and reveals the city’s hidden gems. Enjoy daily free walking tours in the centre of the city, where you will discover the historical buildings in Pest. 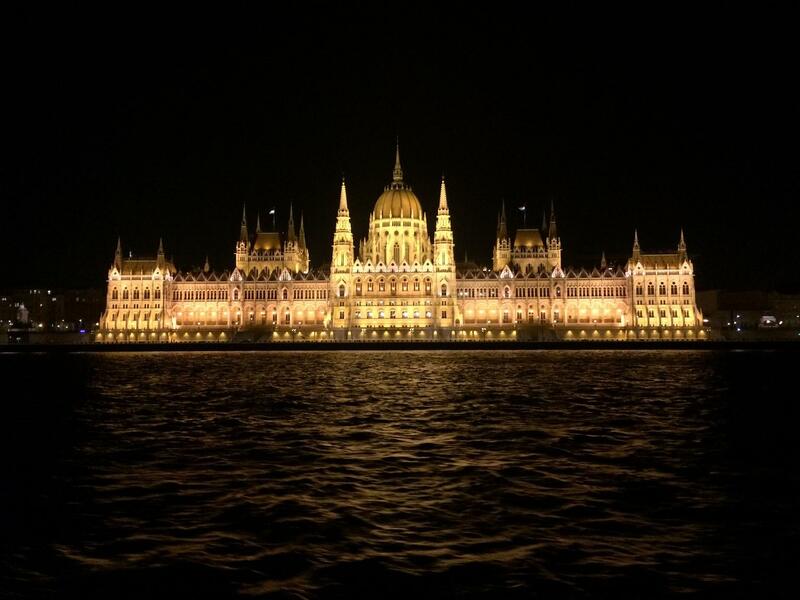 See Budapest’s evening ambiance and famous buildings beautifully illuminated during the one-hour panoramic Night Tour. 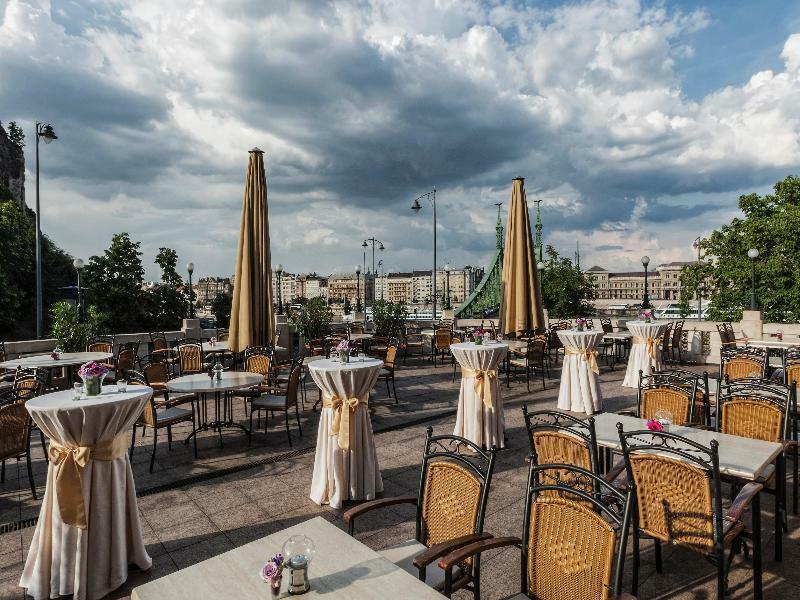 The river cruise takes you on a leisurely journey along the Danube providing views of Budapest’s Parliament Building, the National Theatre, Chain Bridge and Royal Palace. Discover the beautiful Castle District and Royal Palace with the Castle Shuttle service. 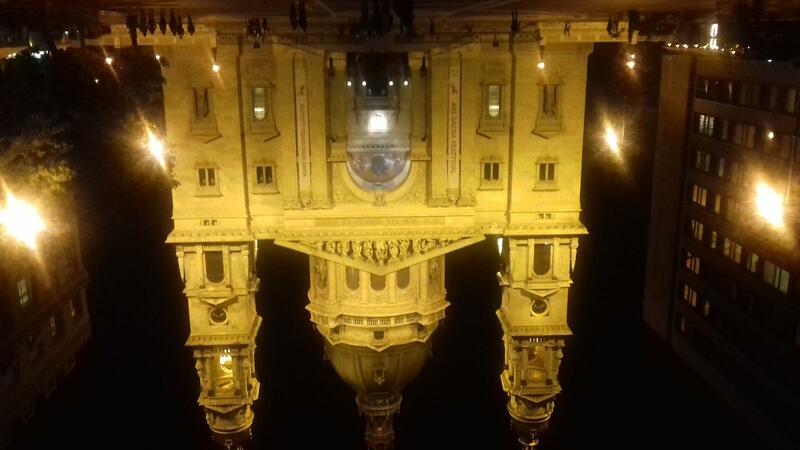 The Panoramic Night Tour of Budapest begins from the Big Bus Customer Service Centre: 3 Andrássy Avenue, and showcases the stunning sights of the city’s illuminated landmarks and monument over 60 minutes. 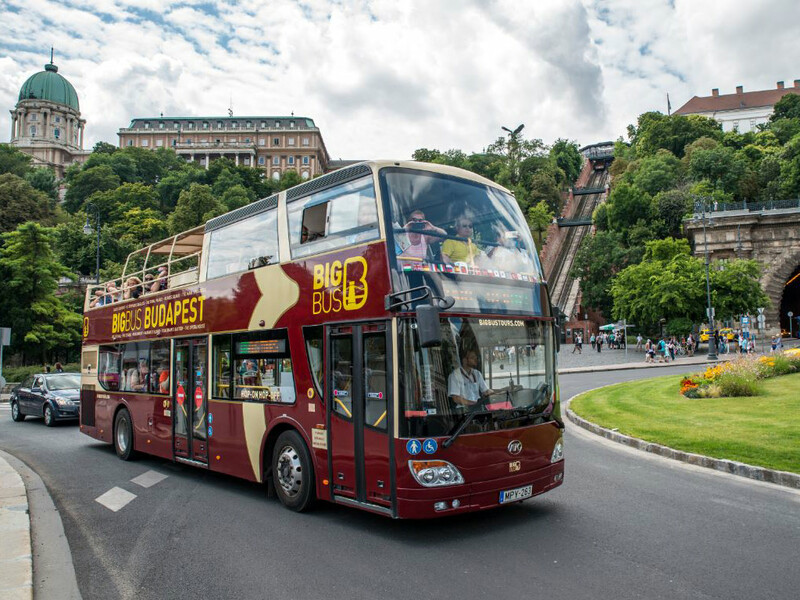 This one round open-top bus tour takes you over the magnificent sights of the city both on the Pest and the Buda side. The Heroes’ Square, the Parliament Building, the Gresham Palace, and the Castle District looks amazing when they are in lights during the evening. Please check with the Big Bus staff for departure times on the day. Hop on and explore the city with our Premium Ticket, and hop off to enjoy a relaxing spa experience at Széchenyi Spa with our Bus & Bath Ticket. It includes a daily spa ticket with locker usage. The ticket is valid for 3 days. 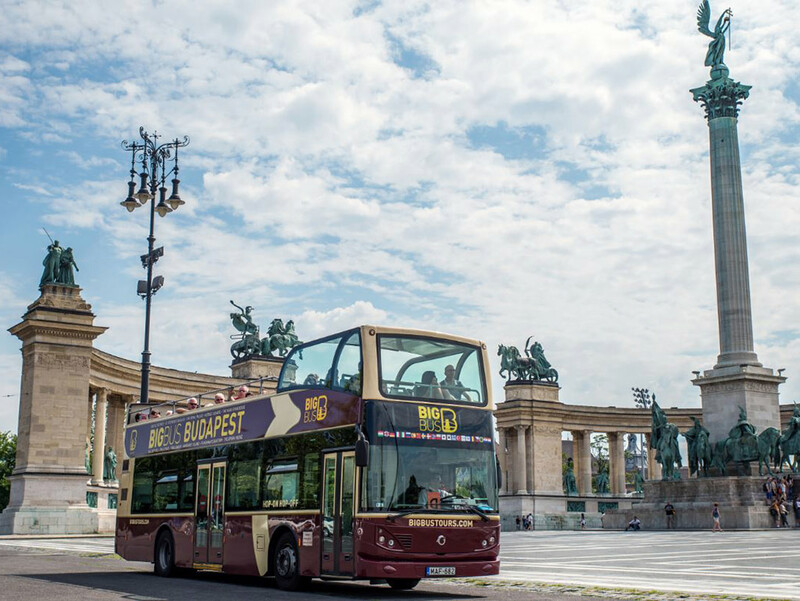 With magnificent views from an open-top bus, Big Bus Budapest is the perfect introduction to a city with thousands of years of history. These carefully designed tours take you to the major landmarks and historic sights, while your personal recorded commentary explains the history and culture of this beautiful city. 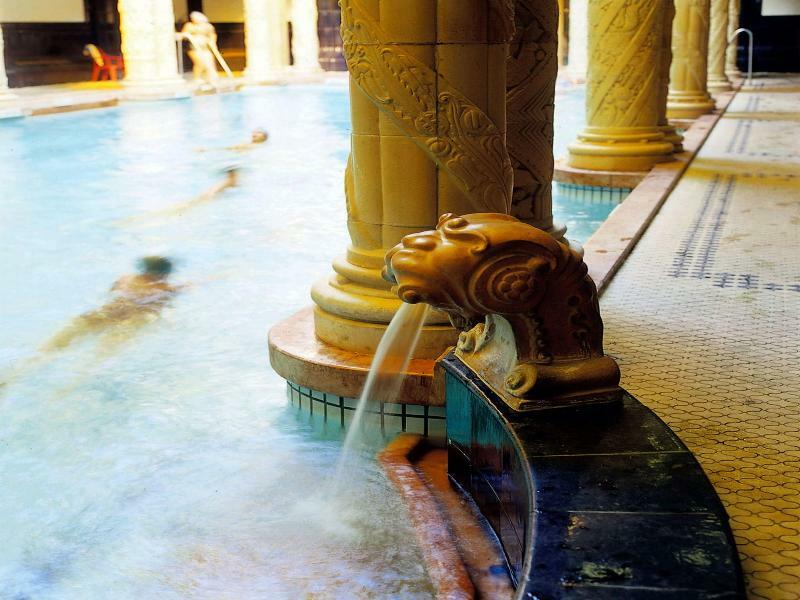 Thermal Bath: Budapest isn’t called the “City of Baths” for nothing, the city is one of the few places where you ca experience traditional thermal baths dating back to 16th and 17th centuries. 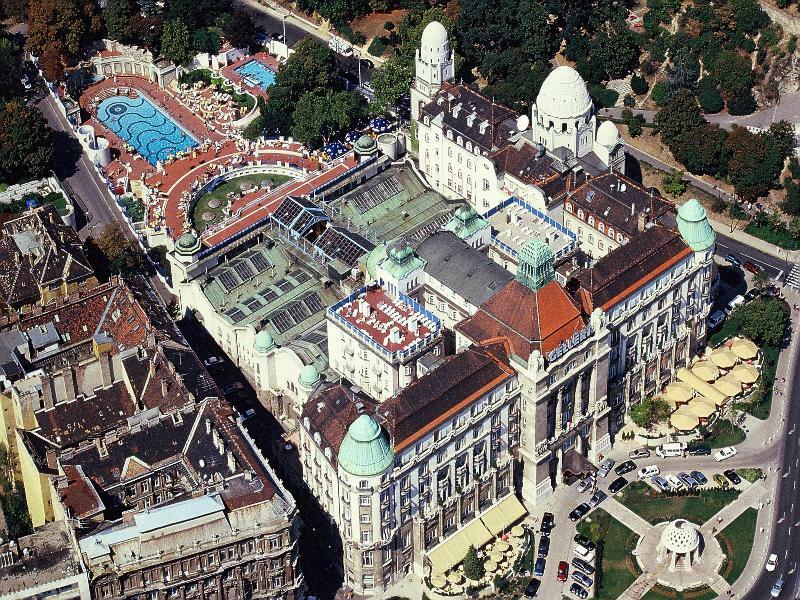 Come and experience it yourself at the Szechenyi Spa Baths which is the one of the largest bath complexes in Europe with its 21 pools, housed in a beautiful and richly decorated Neo-Baroque style palace, it’s the perfect place to relax and to get to know locals. Day and night tours have recorded commentary available in; Hungarian, English, German, French, Italian, Russian, Spanish, Polish, Swedish, Danish, Mandarin, Japanese, Korean, Greek, Turkish, Arabic, Hebrew, Brazilian Portuguese, Czech, Romanian, Croatian, Dutch and Norwegian. The walking tour is in English. You can join the tour at any of the bus stops. 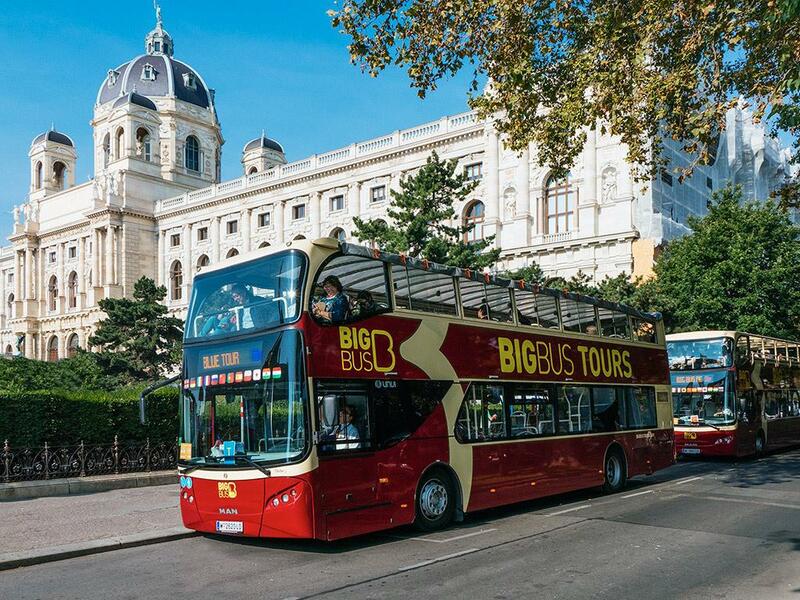 About the activityOur Budapest bus tour immerses you in one of Europe’s most entrancing cities. 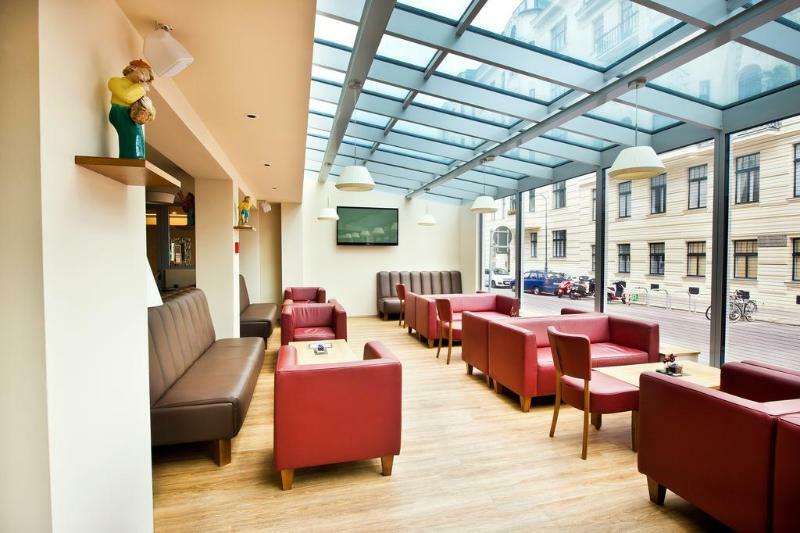 Hop on for panoramic views of the spectacular Heroes’ Square, the elegant Andrassy Avenue and the magnificent Parliament building. 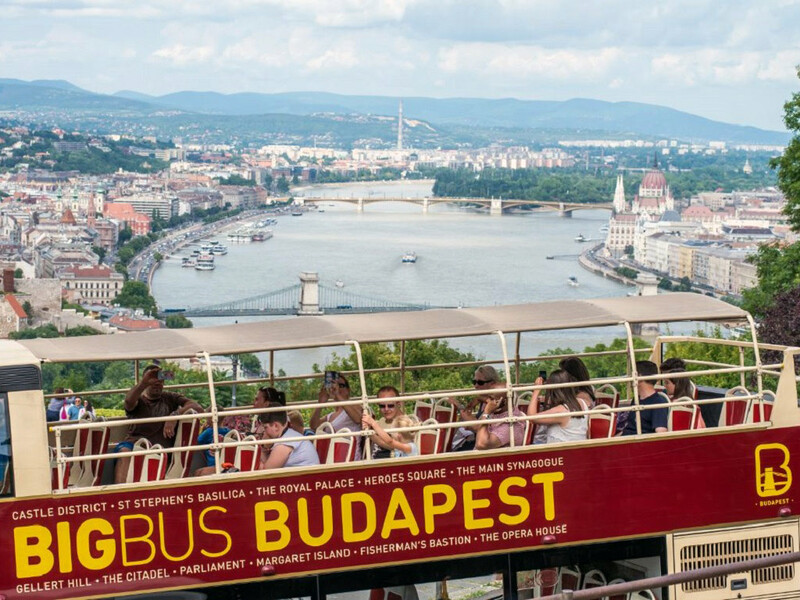 See all the sights of one of Europe's prettiest cities, with this hop on-hop off sightseeing bus tour of the beautiful Budapest. 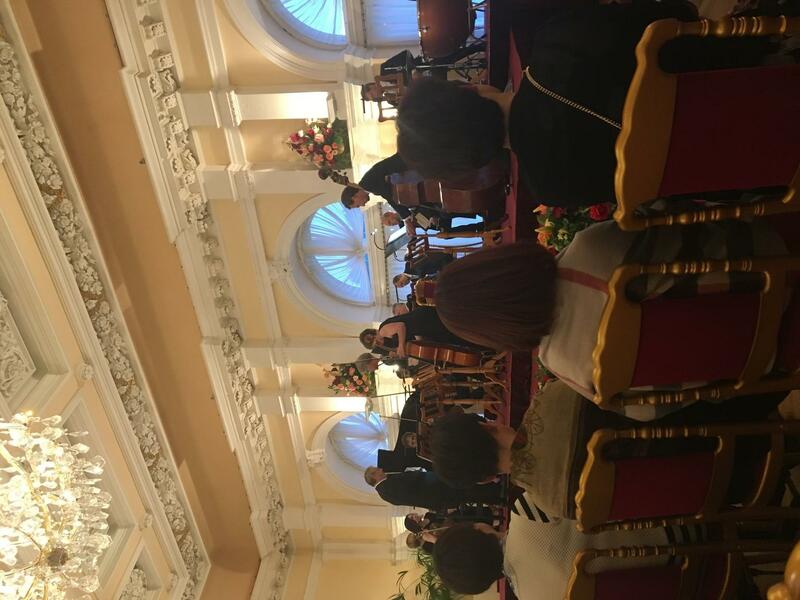 Make your way to the concert hall and take your seat in your selected category, then sit back as the Salonorchester Alt Wien concert begins. 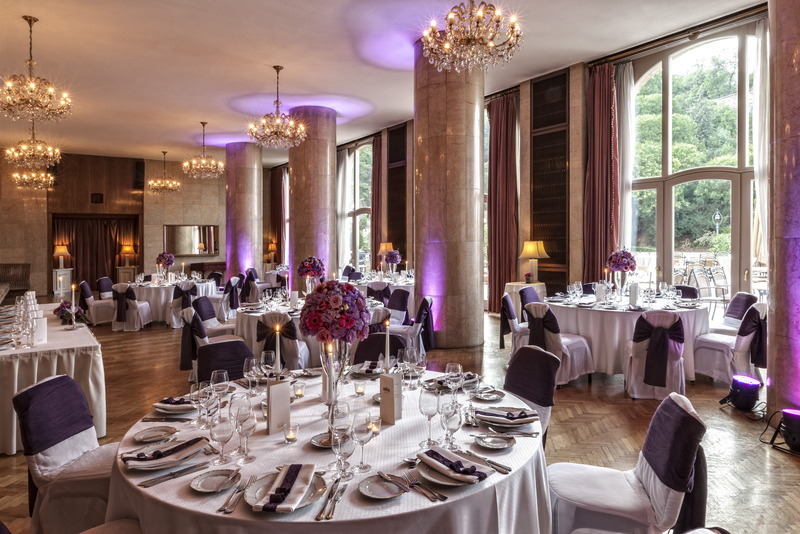 If you've booked a VIP ticket, enjoy prime seating in the first two rows; you'll receive a glass of sparkling wine during the interval, as well as a Johann Strauss CD and the Kursalon Orchestra program. 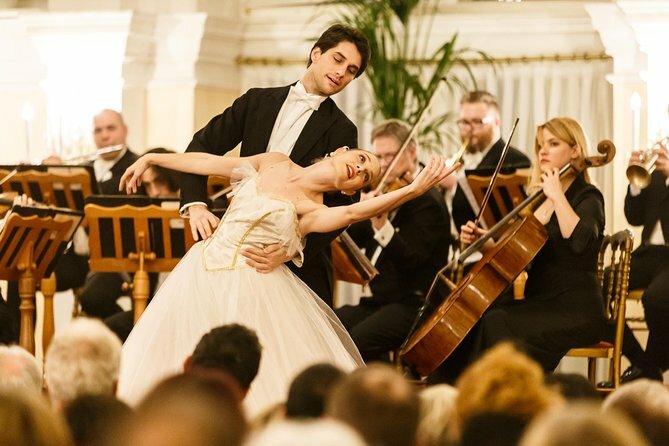 Featuring one of today’s best-known interpretations of classical Viennese music, this concert will captivate you with its waltzes, polkas, arias, duets, and operetta and piano concerto melodies, accompanied by opera vocalists and ballet soloists. Perhaps most poignant are the performances of Strauss’ ‘Voices of Spring,’ ‘Roses from the South,' ‘The Sigh Galop,’ ‘A Little Night Music’ and ‘On the Beautiful Blue Danube,' as well as Mozart’s ‘Rondo alla Turca’ and the overture to the opera Le Nozze di Figaro. Revel in Strauss' 'My Lord Marquis' from The Bat operetta and 'Entree Zsupan' from The Gypsy Baron operetta. You'll also enjoy Johann Schrammel’s ‘Vienna Remains Vienna,' as well many other wonderful pieces from Vienna's musical history. 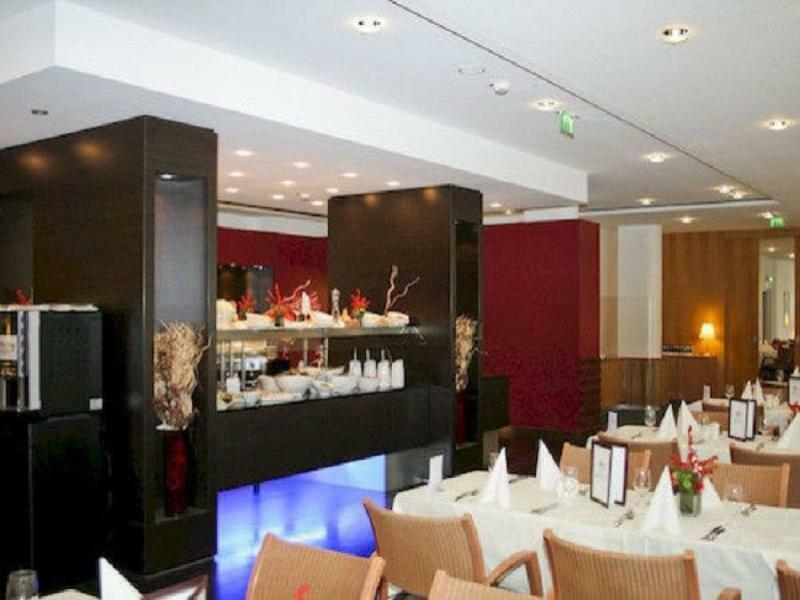 After the performance, make your own way back to your hotel or linger in the area to continue your Viennese evening. Smart evening attire is advised. No sneakers, jeans or shorts are permitted in the concert. There is a free seating. Ushers point the best available seat in the category halls. 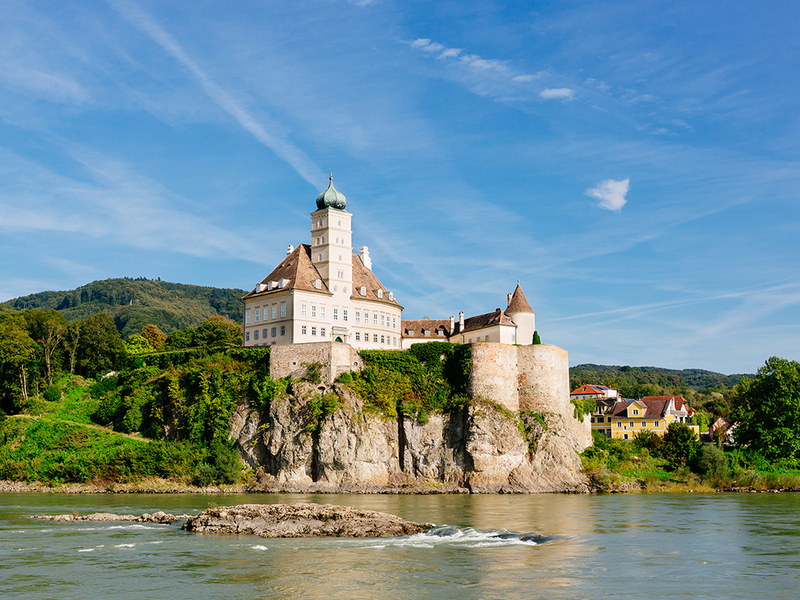 Experience the natural beauty of the Danube and Wachau valleys with this romantic day trip that takes in charming villages, steep vineyards, ruined castles, magnificent monasteries and during the summer months, a spectacular cruise along the great river itself. This is a tour that has it all: scenery, nature, culture, history and architecture. Few rivers have inspired artists as much as the Danube, which was immortalised by Strauss’ waltz. As the river winds its way through central and south-eastern Europe, it creates valleys of breathtaking beauty; a landscape of steep banks laden with vineyards overlooked by hillside hamlets and castles. See the tiny village of Durnstein and the admire the remnants of its once great castle, where Richard the Lionheart was held ransom on his way back to England to fight with Robin Hood (or so some legends say). The views over the Danube and the valley are spellbinding. During the summer season, hop aboard for a 90-minute cruise on the blue Danube and enjoy a new perspective of this picturesque valley. 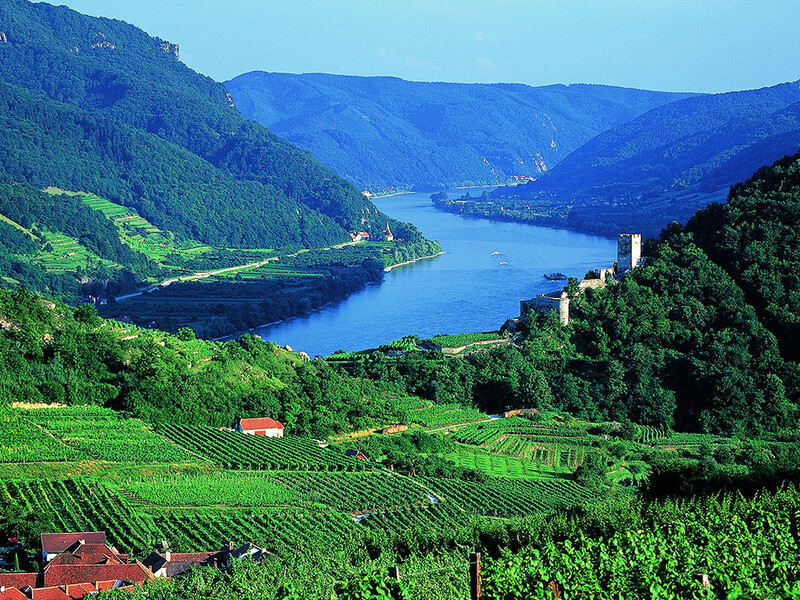 The Wachau Valley is a Unesco World Heritage Site famed for its lush verdant landscapes and rustic towns but most of all for the quality of its wines, especially the young whites. 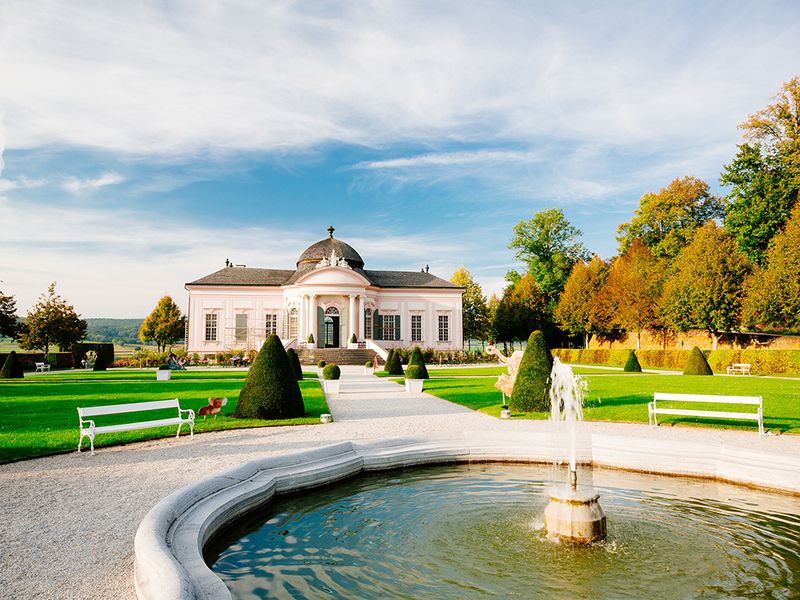 At Melk, discover the beautiful Benedictine abbey, one of Austria’s most famous baroque buildings. 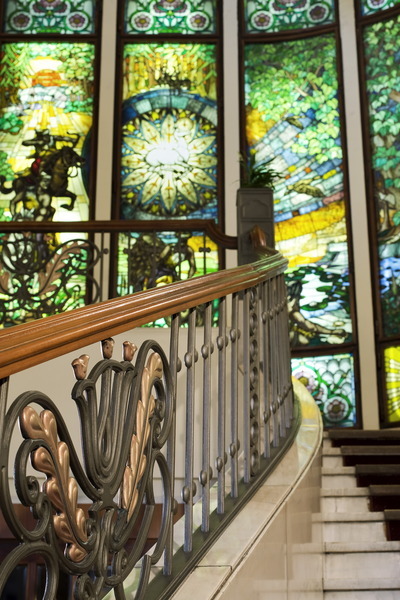 Among its many truly outstanding attractions are the impossibly golden library, the fine frescos and the speckled spiral staircase. 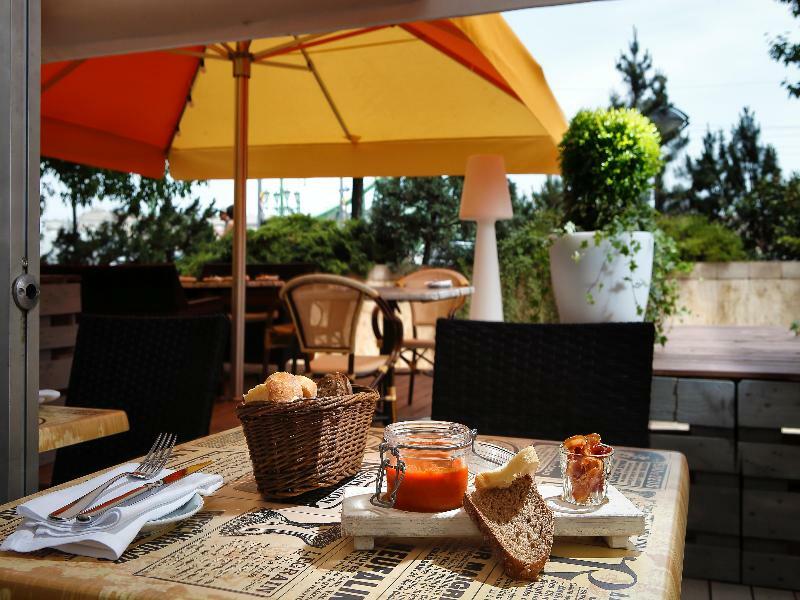 In winter, instead of the cruise, we enjoy a lunch. 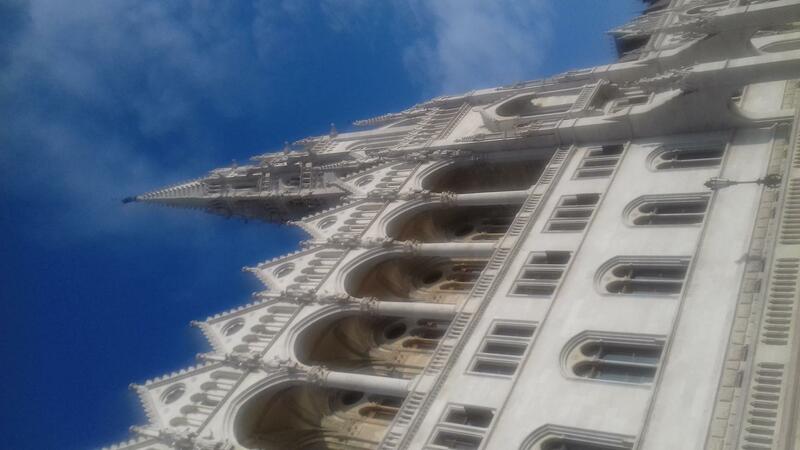 Others: The Danube cruise takes place from April 16 to October 26. About the activityExperience the natural beauty of the Danube and Wachau valleys with this romantic day trip that takes in charming villages, steep vineyards, ruined castles, magnificent monasteries and during the summer months, a spectacular cruise along the great river itself. This is a tour that has it all: scenery, nature, culture, history and architecture. The minimum age to participate in this activity is 3 years . 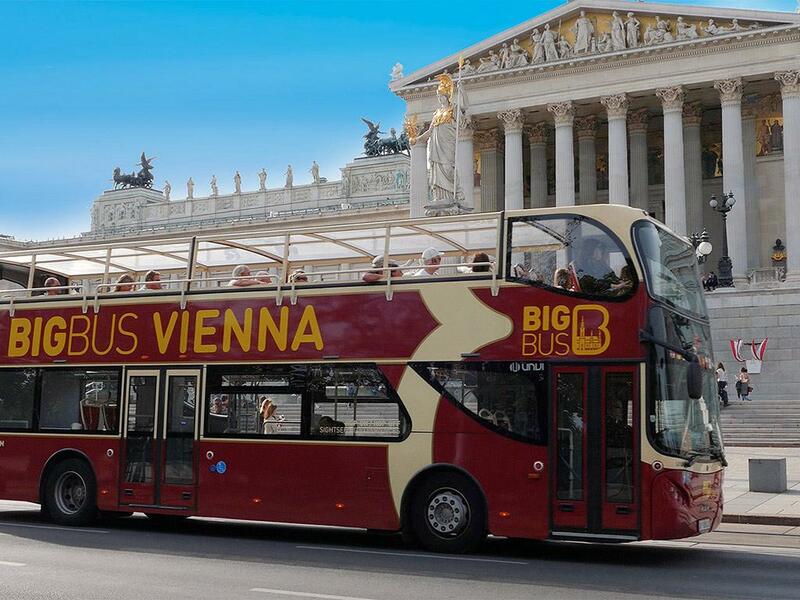 Discover the very best way of touring a city with this hop-on hop-off bus tour of Vienna. See all there is to see in this richly cultural capital and learn the history behind every landmark and every neighbourhood! There are a whole bunch of perks on this terrific tour. There are 22 stops across the 2 routes (Red Route: 1 hour and 40 minutes and Blue Route: 1 hour and 25 minutes) and you can get off at any of them to get a closer look at the wide variety of attractions. Once you have had your fill in one pretty place, make your way to the nearest bus stop and soon you’ll be off again. The super bus ticket enables you to plan your time in the city in the most convenient and comfortable way. 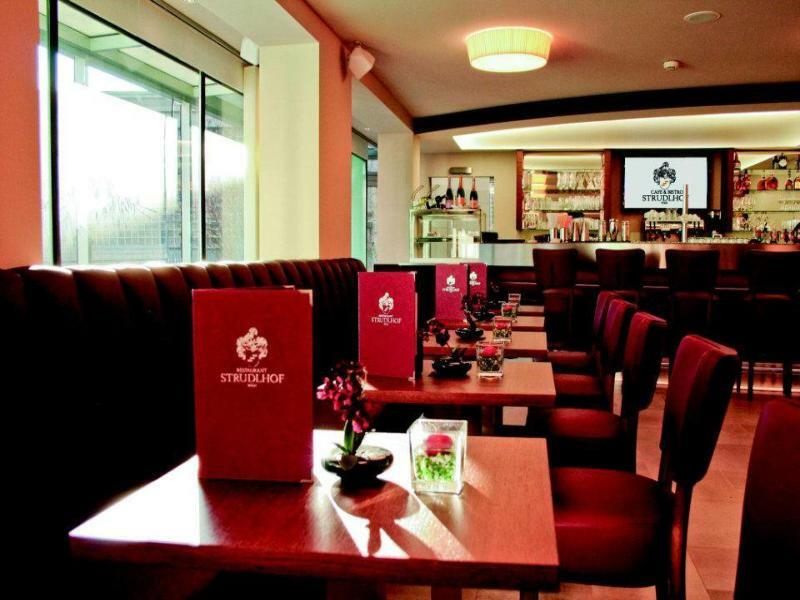 Join us and enjoy a privileged panoramic view of Vienna. 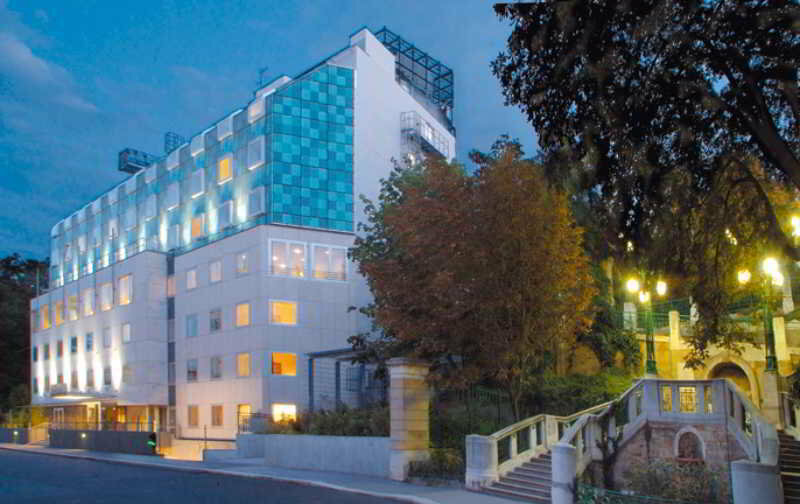 Get the chance to know more about Vienna on a deeper level as you absorb the fascinating history. You’ll be able to see where the events went on as you seemingly float from one historic spot to the other. Our informative and intriguing audio guide adds a special touch to the experience. Witness a choice of breath-taking architecture, admire the city’s marvellous castles, gardens, monuments and also its pristine parks. 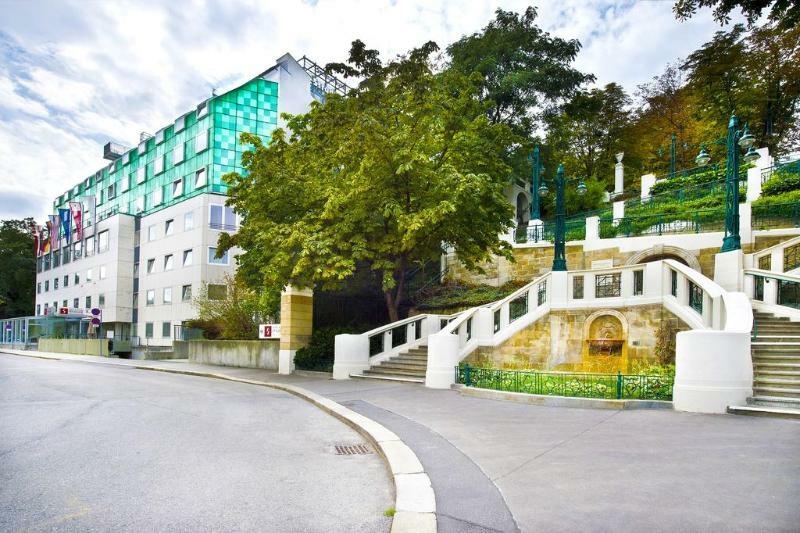 The Austrian capital encompasses almost everything from the many traditions from within the country to the Roman, Gothic and Baroque constructions. 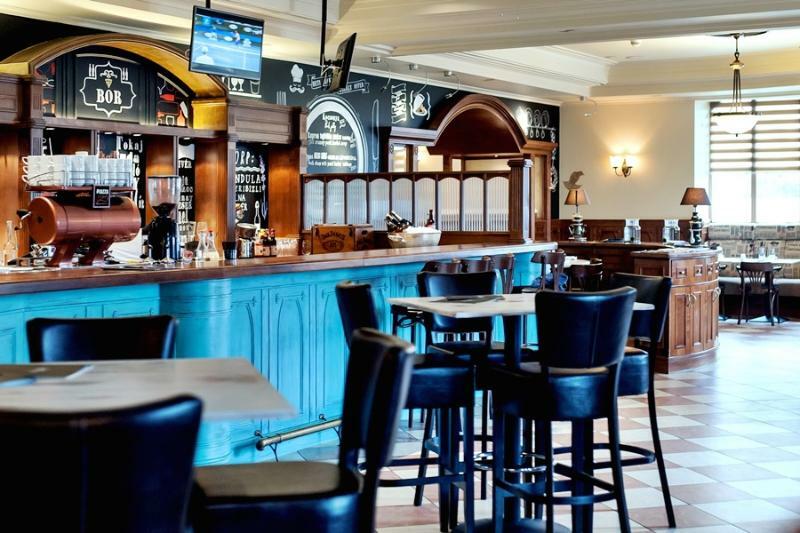 Make use of the free walking tour where you will come across the architectural delights and hidden secrets of the historical centre within the Inner Ring, you’ll be right in the thick of it as you wander around town amongst the lovely locals! 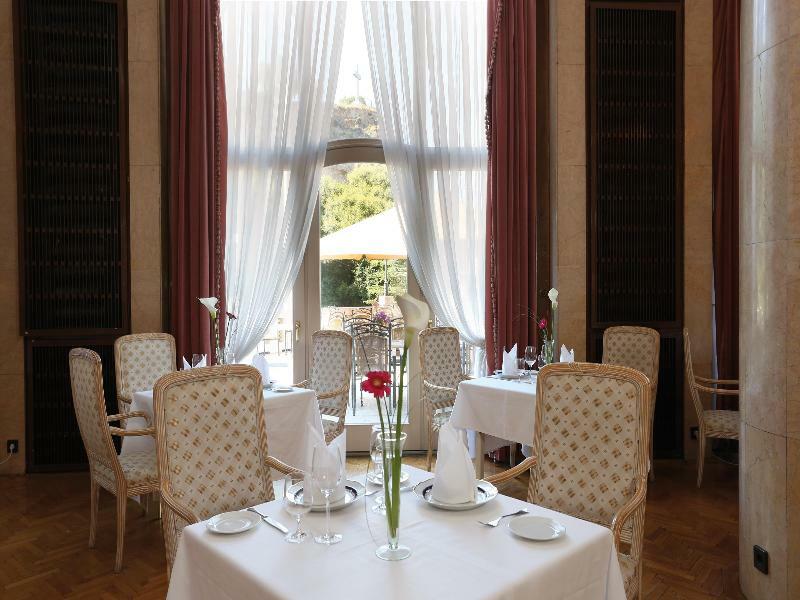 Step back in time to experience the life of the Habsburgs. 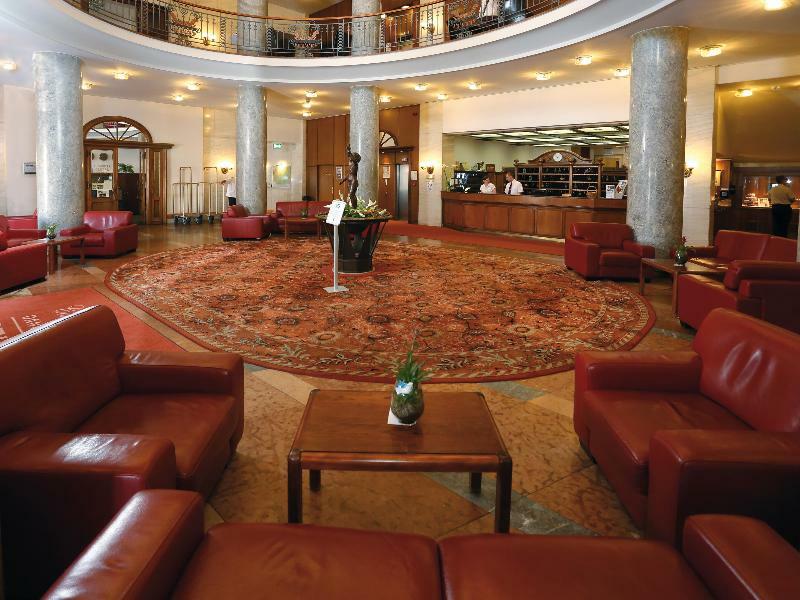 Visit the Hofburg Palace, the world-renowned Spanish Riding School, Heldenplatz and the Capuchin Crypt where members of the House of Habsburg are still entombed. Our guided tour also covers the history of music in the city, including the legendary composers Mozart, Haydn and Beethoven. The tour ends at St. Stephens Cathedral which is by far the most important and influential Gothic church in Austria. 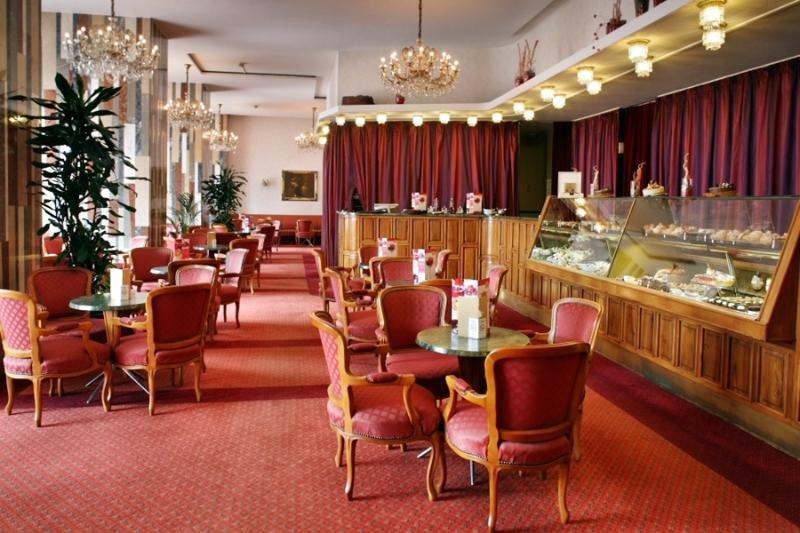 The Classic Ticket allows you to see all of Vienna’s top sights and attractions in one day. Ride the double decker bus and hop on and off at over 22 stops around the city. 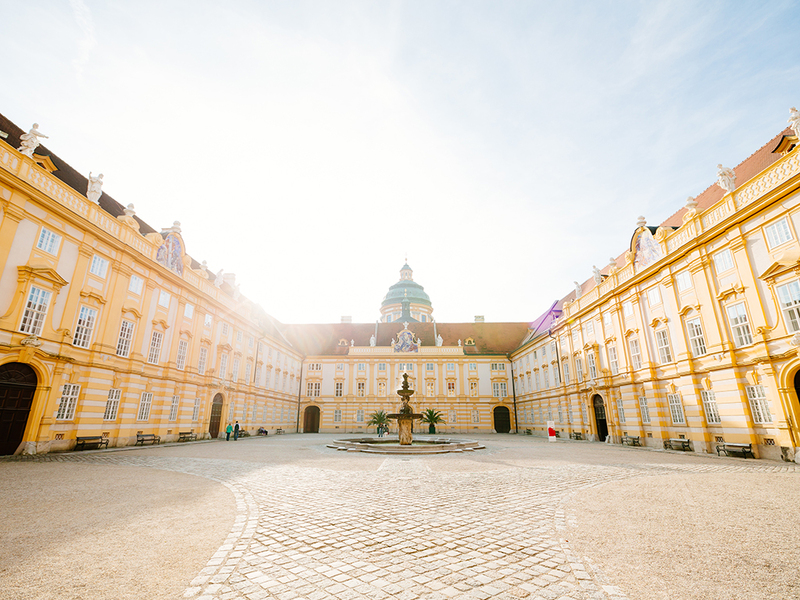 Learn about the Habsburg dynasty at Hofburg Palace or discover the Baroque buildings of imperial Vienna along the famous Ring Road. Recorded commentary in 13 languages is available on the bus as well as a personal audio guide to take with you on a City Walk through the city where buses are not allowed to enter. 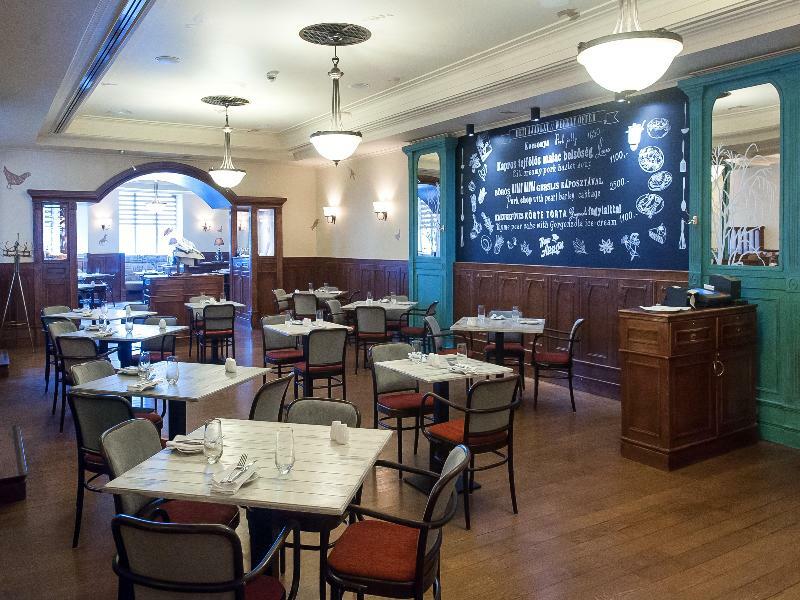 This ticket allows you to explore the city’s most important sights in two days. The bus will take you to the famous landmarks and best attractions in the city. Soak up the sights of the impressive buildings, including the Vienna State Opera, St Charles Church, Schönbrunn Palace and Belvedere Palace. Hop off the bus to take a closer look at these magnificent landmarks and explore the city's beautiful open spaces, such as People’s Garden. Recorded commentary in 13 languages is available on the bus as well as a personal audio guide to take with you on a City Walk through the city where buses are not allowed to enter. 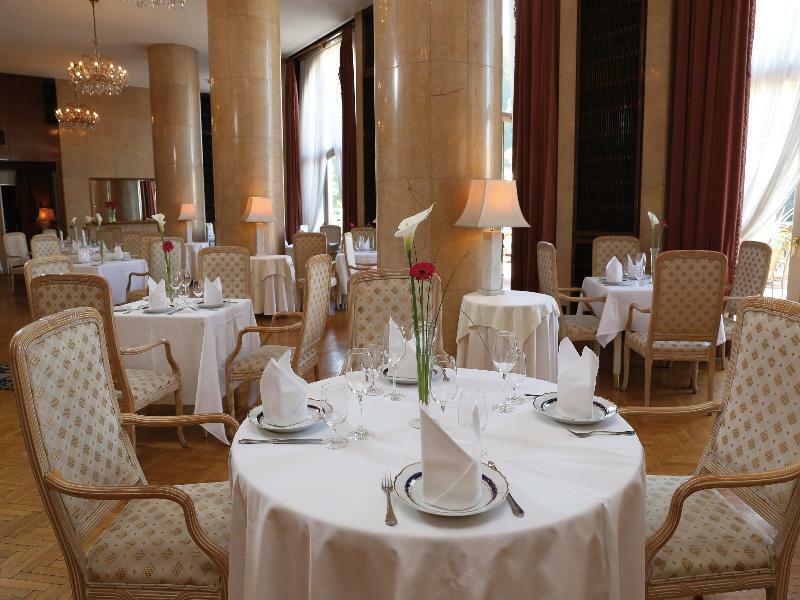 The Deluxe Ticket allows you to explore Vienna in three days. The bus will take you to the famous landmarks and best attractions in the city. 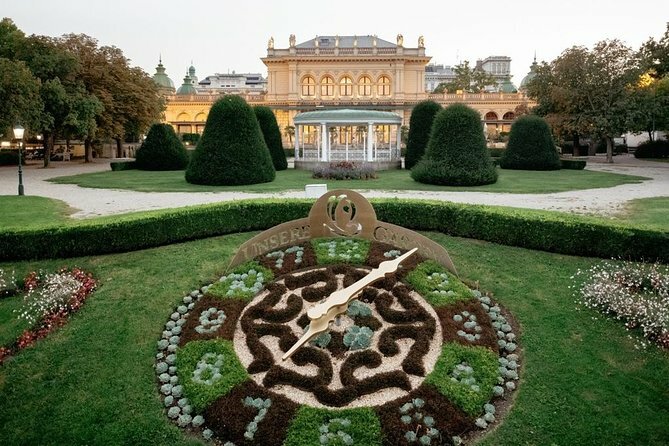 Soak up the sights of the impressive buildings, including the Vienna State Opera, St Charles Church, Schönbrunn Palace and Belvedere Palace as well as the typical Viennese coffeehouses that tempt you to linger even longer. Recorded commentary in 13 languages is available on the bus as well as a personal audio guide to take with you on a City Walk through the city where buses are not allowed to enter. Printed Voucher. Print and bring the voucher to enjoy the activity. Tickets and options must be used within 14 days of first use. You can get on the bus at any of the stops on the route. 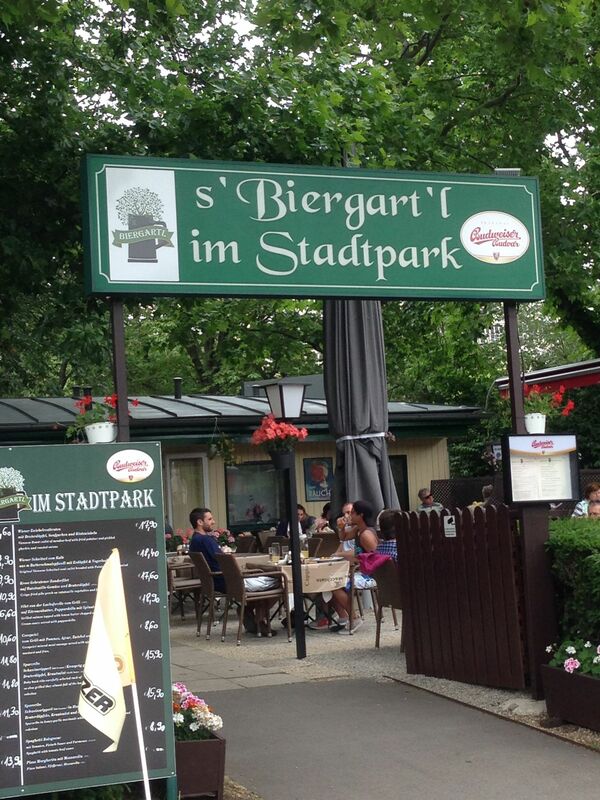 End point: You can finish the tour at any of the stops. 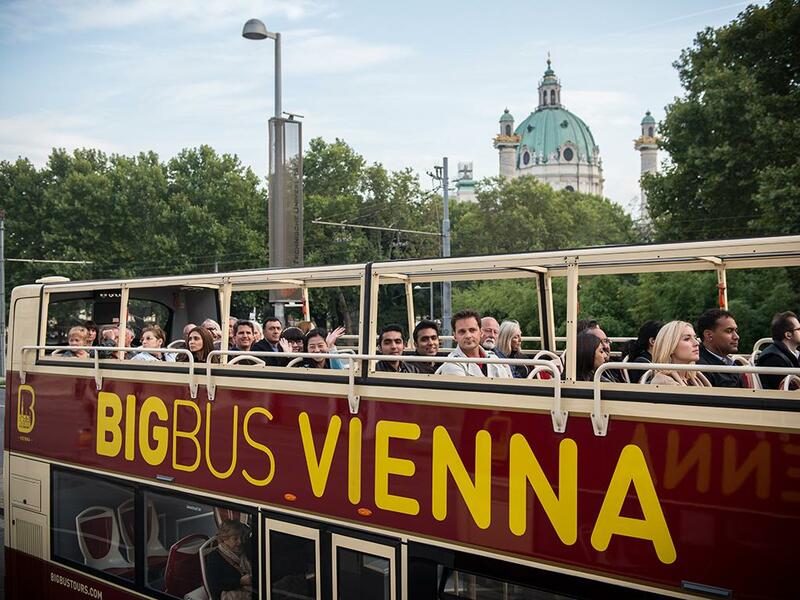 About the activityDiscover the very best way of touring a city with this hop-on hop-off bus tour of Vienna. See all there is to see in this richly cultural capital and learn the history behind every landmark and every neighbourhood! Then you will go to witness the Complex of Saqqara which belongs to King Zoser and his step pyramid which is considered the first pyramid in Egypt and the first rock-cut building in the history. Moving on towards Memphis "one of the ancient Egyptian Capitals until around 2,200 BC" which was a cult center for God Ptah god of creation and artworks , you will find there a lot of temples and monuments dedicated for him. 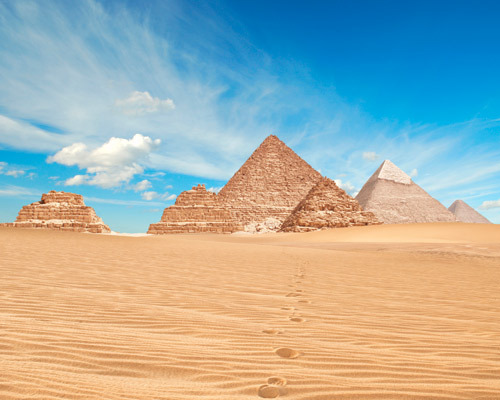 After finishing the tour you will be picked up back to your hotel in Cairo to stay overnight. 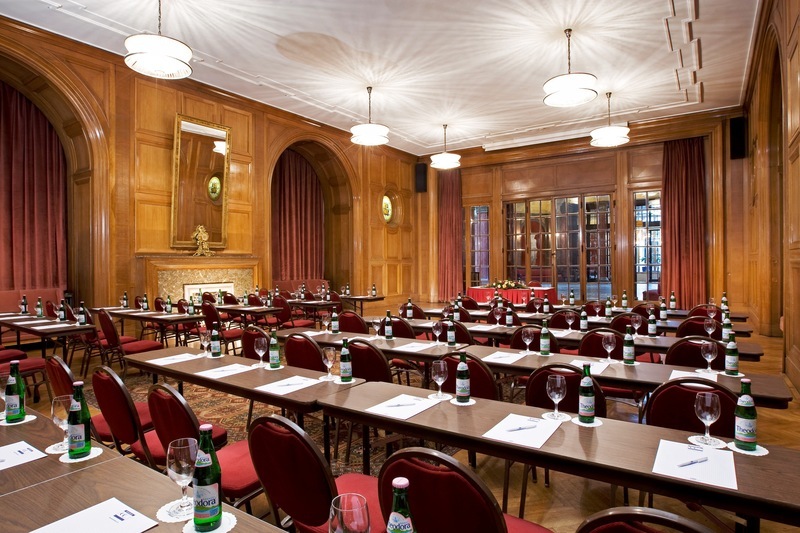 The maximum number of people to participate in the activity is 15 per booking . The minimum age to participate in this activity is 2 years . 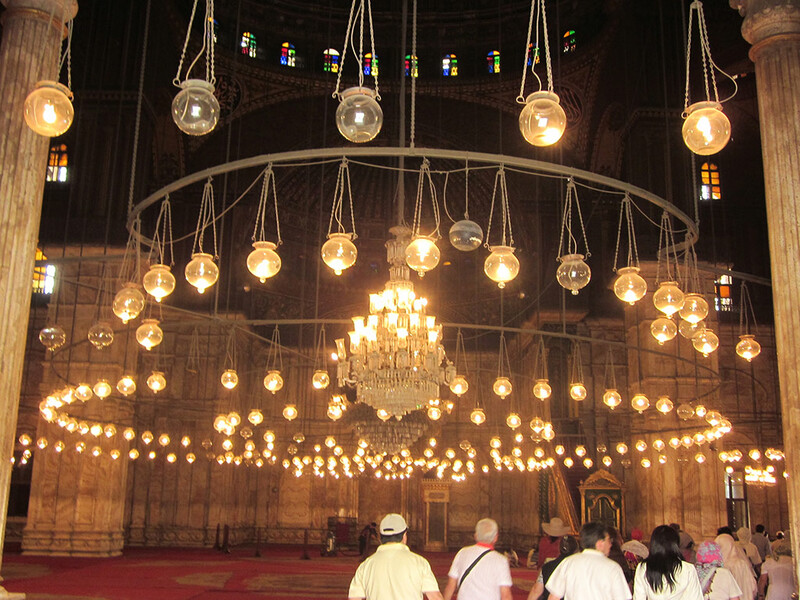 Join a local guide to get in touch with Cairo's Islamic heart. From backstreet bazaars to minaret-topped mosques, and neighborhood coffee houses, these are the places that make Egypt's sprawling capital what it is. 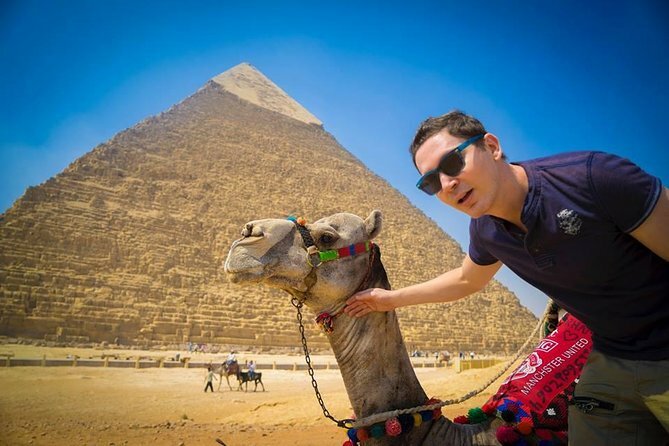 This is an essential Cairo travel experience! 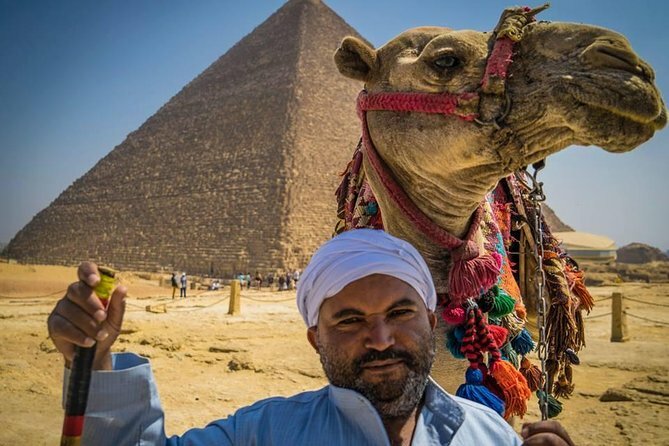 Time to get up close and personal with one of the most important aspects of Cairo - its Islamic heart. Our Islamic Cairo city tour begins with a visit to the Citadel of Salah Ed-Din. Located high atop Cairo, the Citadel boasts magnificent views of the city. Built by the Arab hero Salah ad-Din, the Citadel primarily functioned as a military garrison, as well as serving as a royal residence for over 700 years. Continuing in the historical traditions of Islamic Cairo, our Cairo tour next pays a visit to the famous Sultan Hassan Mosque, which dates back to the 13th century. Considered to be one of the masterpieces of Islamic art and architecture, its history also includes time spent as a school. Equally as impressive is the Mohamed Ali Mosque, one of Cairo’s most visible landmarks, with its twin minarets rising high atop the Citadel. Shifting gears, our Cairo city tour heads back to the streets and towards a famous local bazaar, Khan el-Khalili. A labyrinth of narrow streets and passageways, Khan el-Khalili is one of the world’s largest bazaars, and offers a truly authentic local Cairo experience. Among the world’s oldest bazaars, dating back to 1382, Khan el-Khalili offers an experience unique to the old streets of Islamic Cairo, and affords the opportunity to engage with locals, as locals do, hunting for bargains and relaxing with a coffee as the hustle of the bazaar passes you by. Languages: Local English speaking guide. Dress code: Please dress modestly, yet considering the heat. Shoulders and knees should be covered, and light fabrics like cotton are advisable. Others: Inclusions: entrance fees to the Citadel of Saladin. About the activityJoin a local guide to get in touch with Cairo's Islamic heart. From backstreet bazaars to minaret-topped mosques, and neighborhood coffee houses, these are the places that make Egypt's sprawling capital what it is. 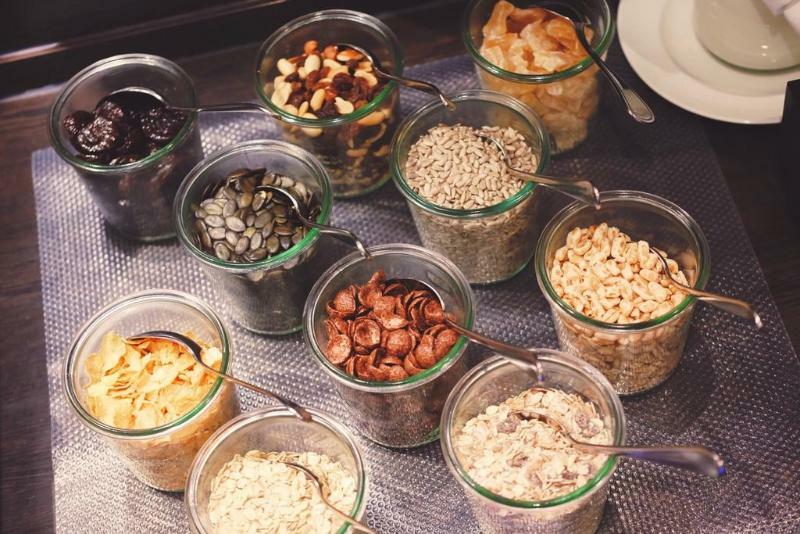 This is an essential Cairo travel experience!